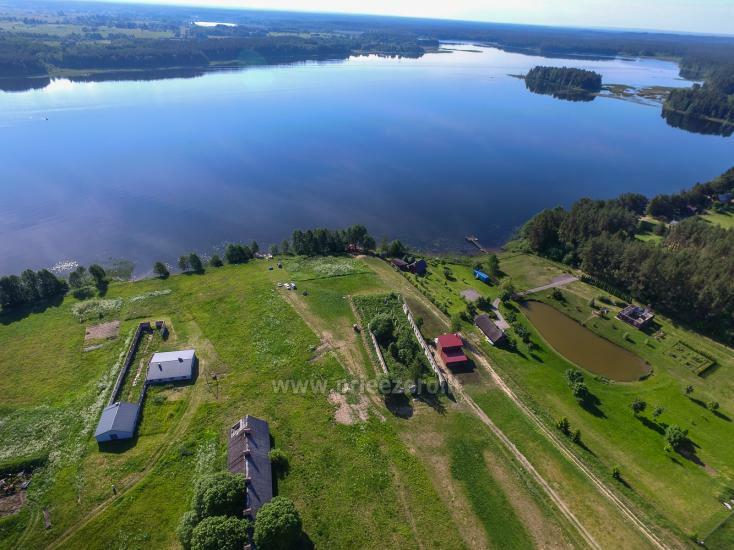 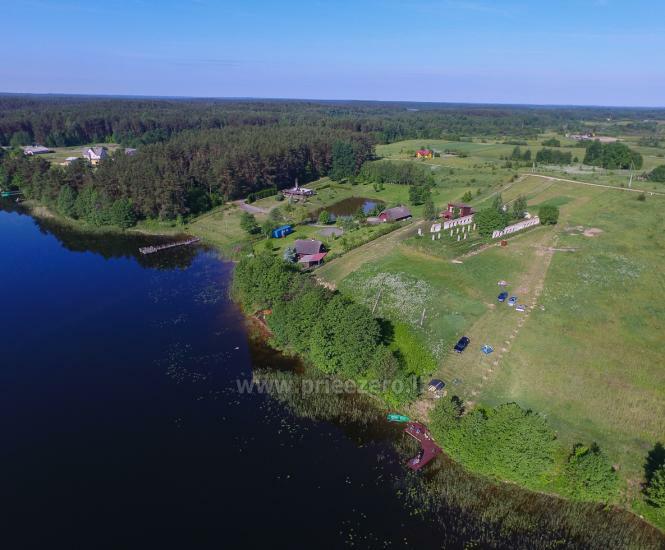 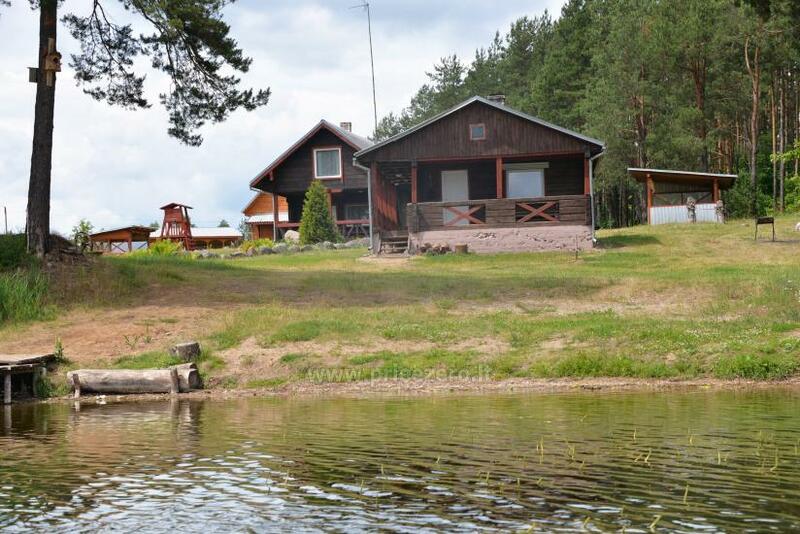 Homestead in Moletai region at the lake "Malūnėlis"
Only 70 kmilometers from Vilnius ! 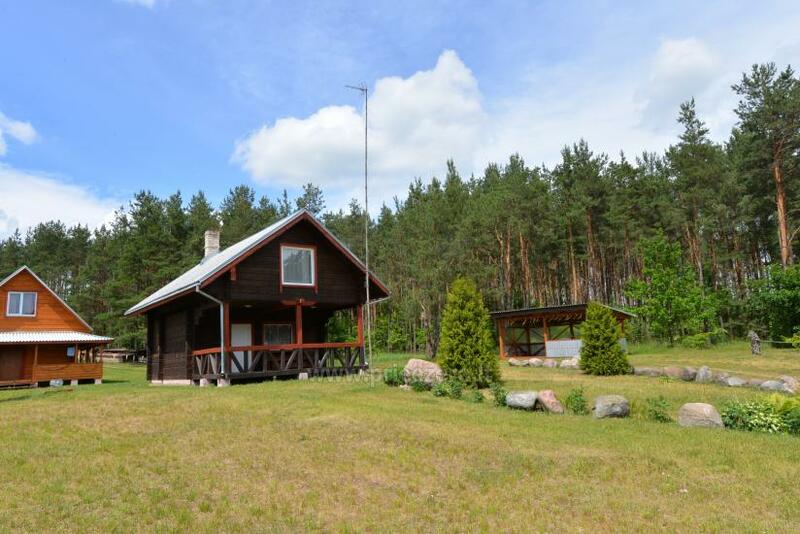 Homestead like small paradise in which you will forget your everyday worries, you will feel the peace of nature. 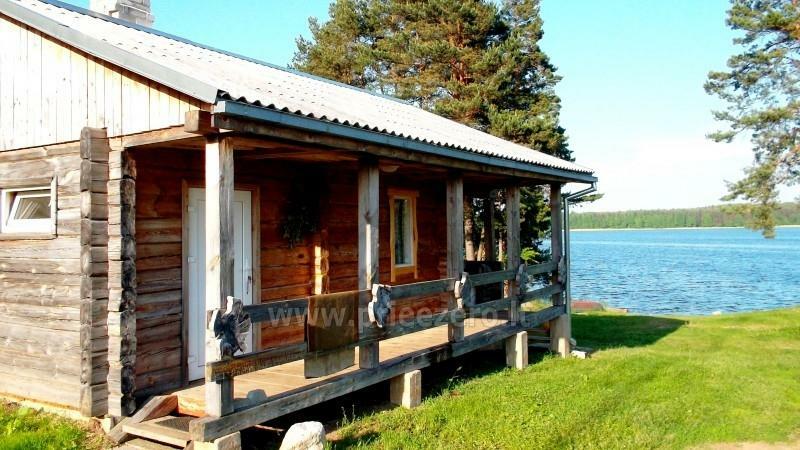 For your accommodation rustic wooden cabins with modern conveniences. 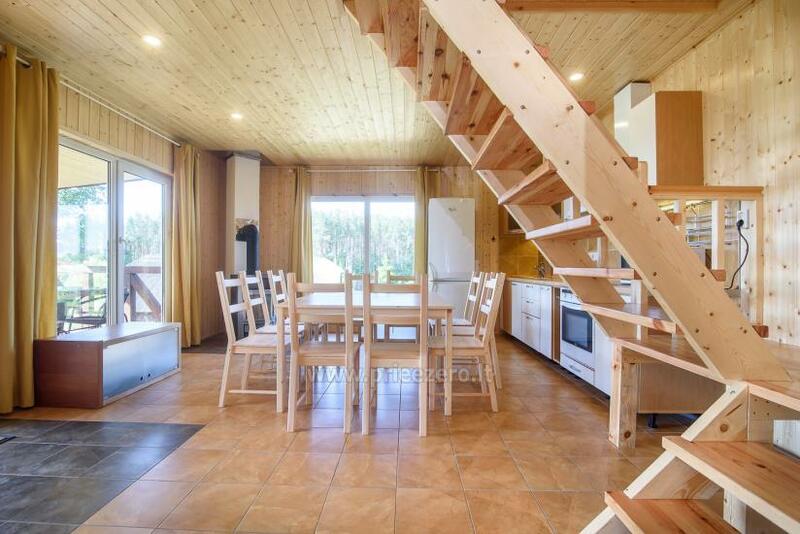 Perfect for family vacation and celebrations ! 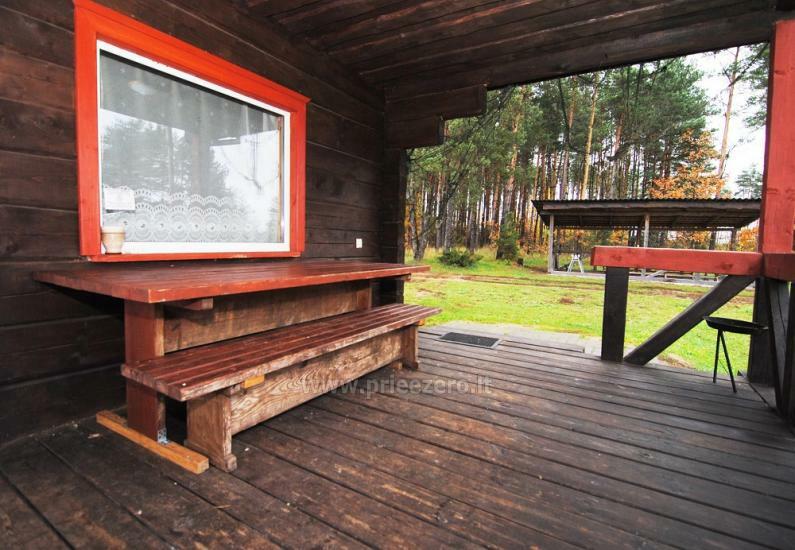 Owner are herbalists and a fortune-teller. 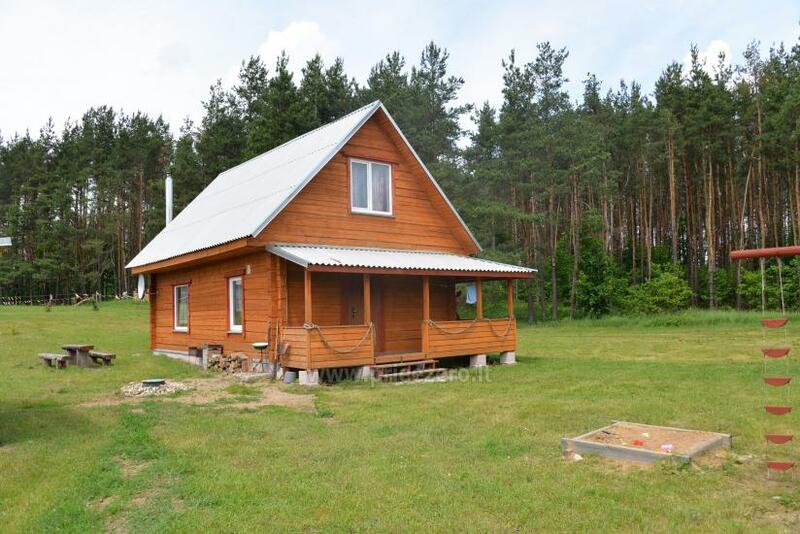 You can buy organic herbs, get advices on health problems, or other issues of interest. 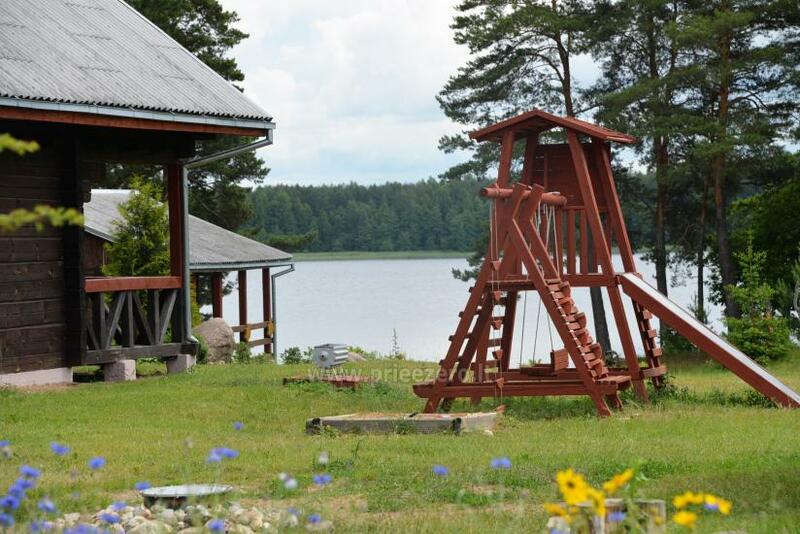 Two saunas, a sports field, swings, lake, boats. 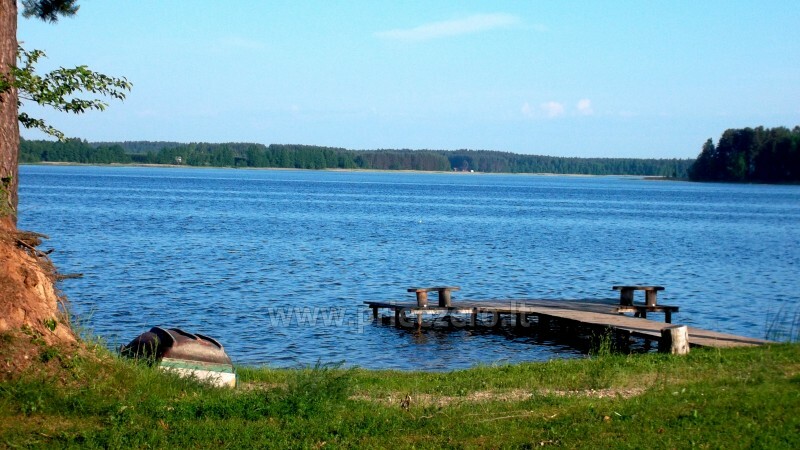 Arinas lake is rich of fishes, so fishermen could spend a great time. 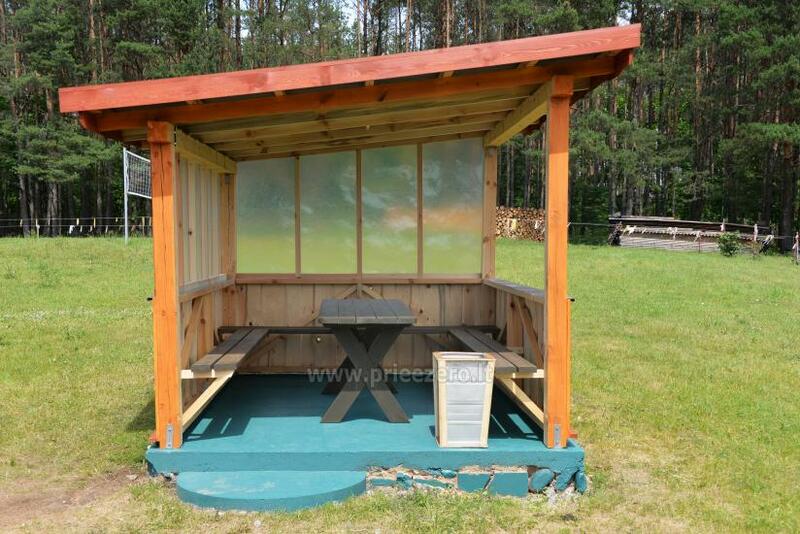 Fishes that you catch could to be smoked in smokehouse. 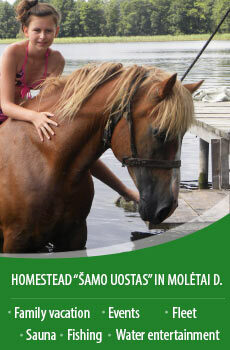 Homestead is also near Asvejos Regional Park, which forests are rich of berries and mushrooms ! 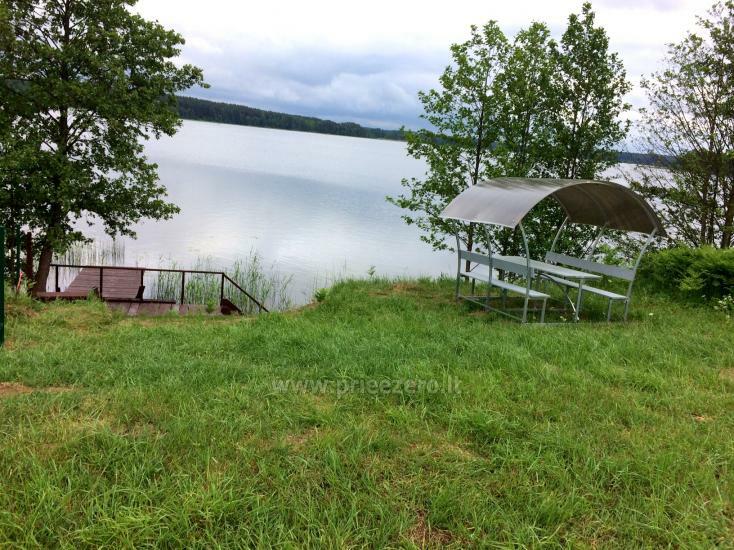 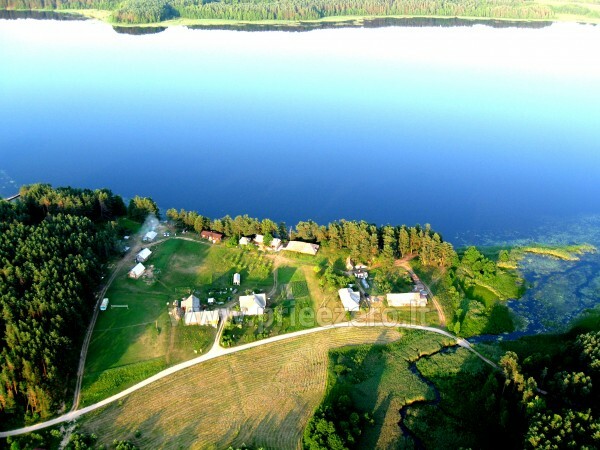 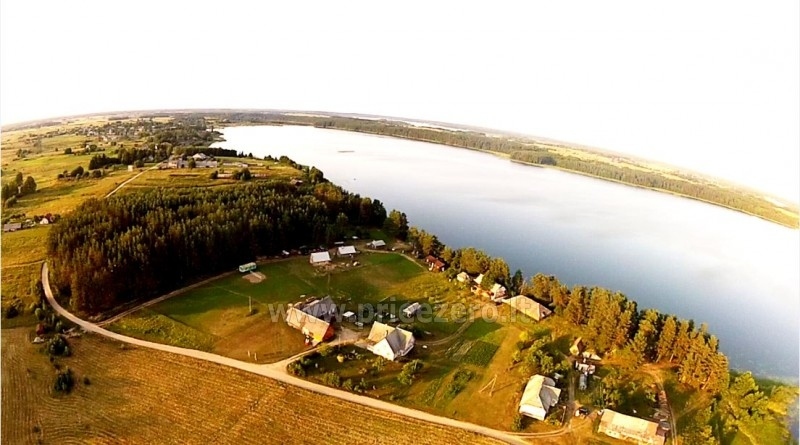 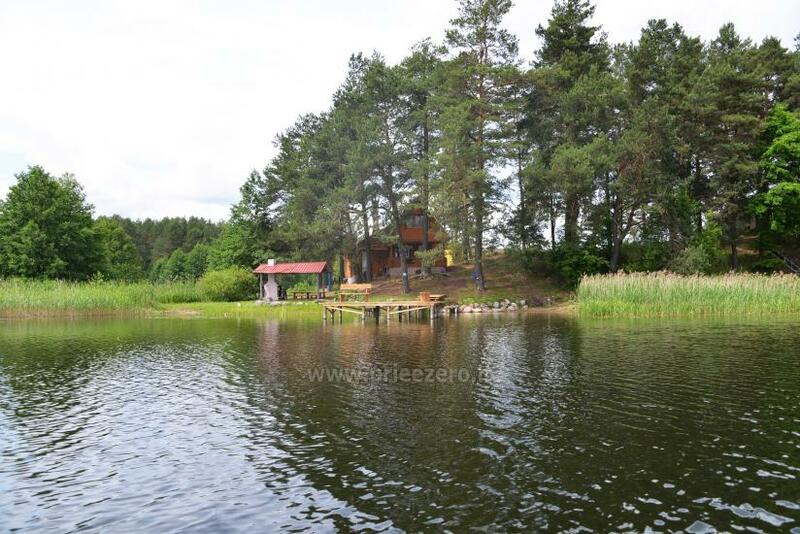 In wintertime you can enjoy icefishing, sauna and swimming in the lake after sauna ! 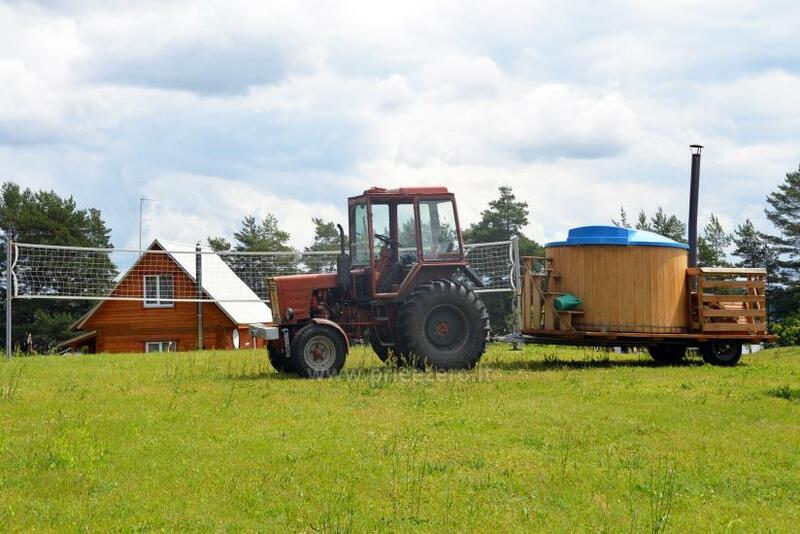 For your convenience, farmstead has 8 houses for rent. 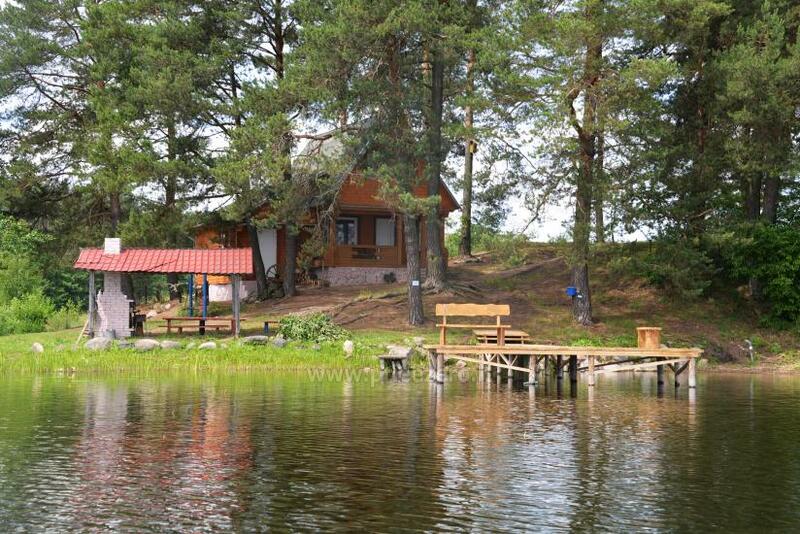 Holiday cottage on the very shore of the lake. 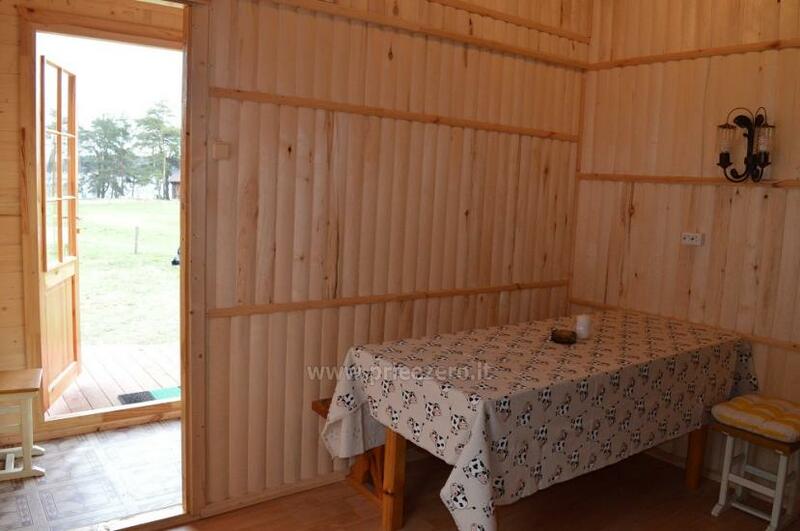 It has one room and sauna. 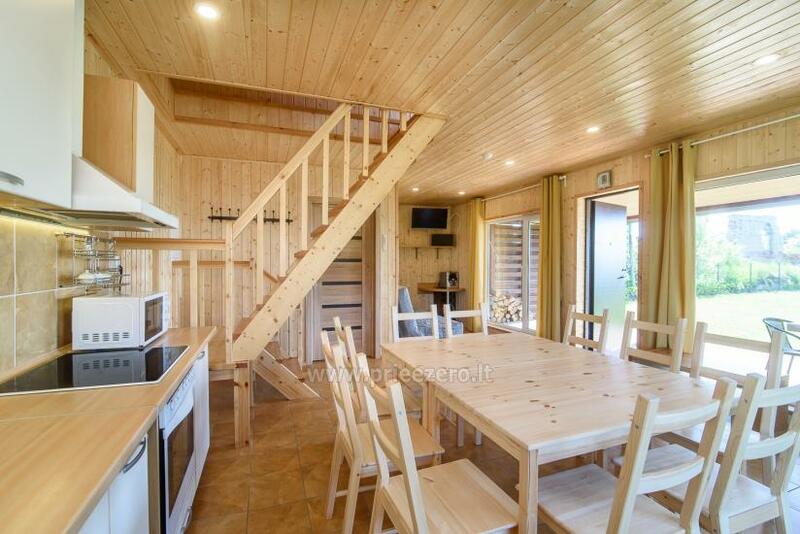 Up to 8 guests can stay in the holiday cottage. 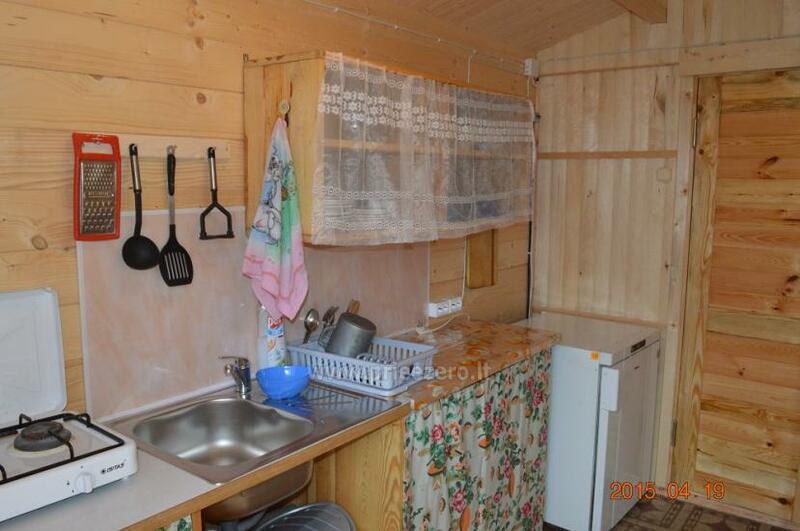 Stove, refrigerator, dishes. 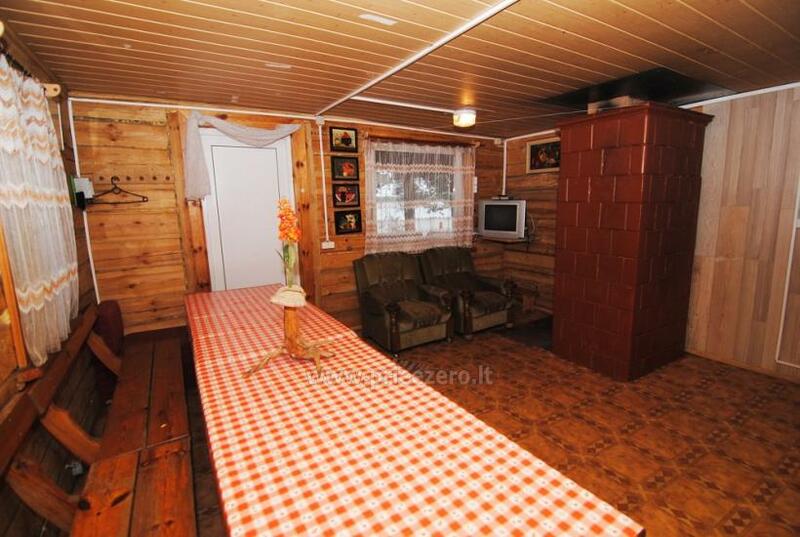 The guests are supplied with a grill, firewood. 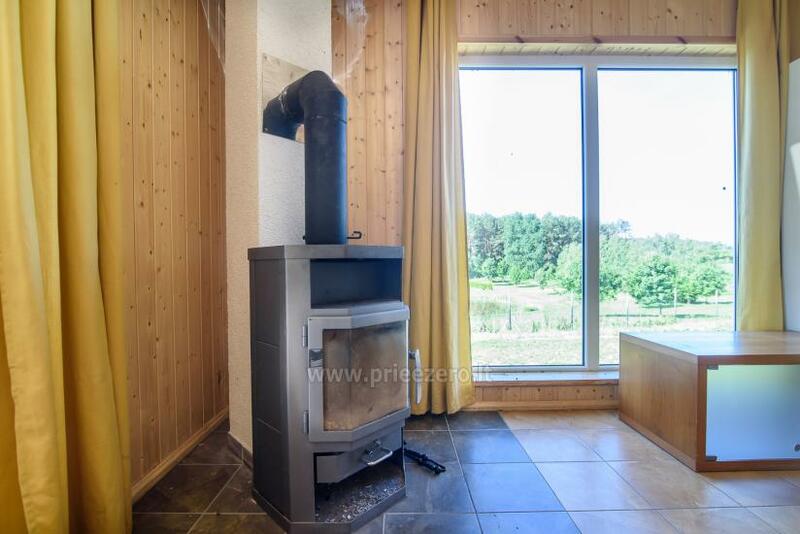 There is a terrace, garden furniture, fireplace at the holiday cottage. 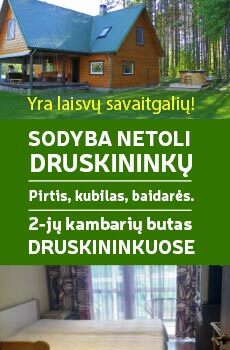 Sauna - 10 EUR / 1 hour. 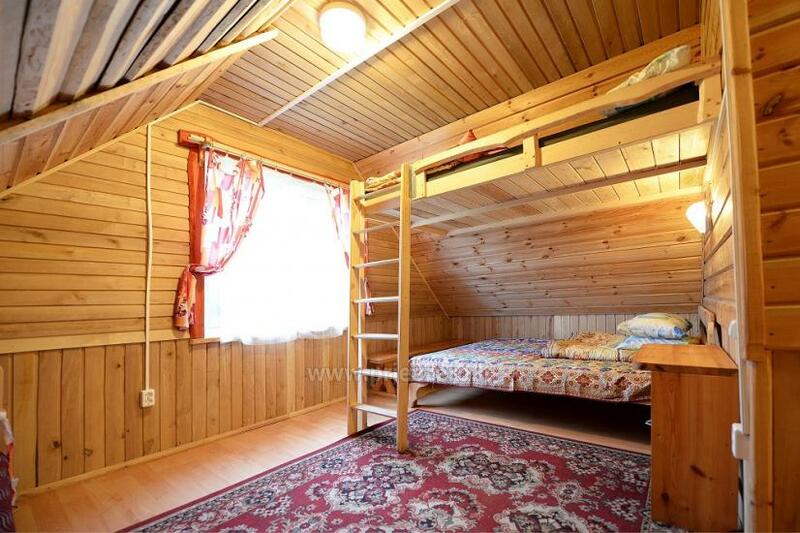 Bed linen can be rented. 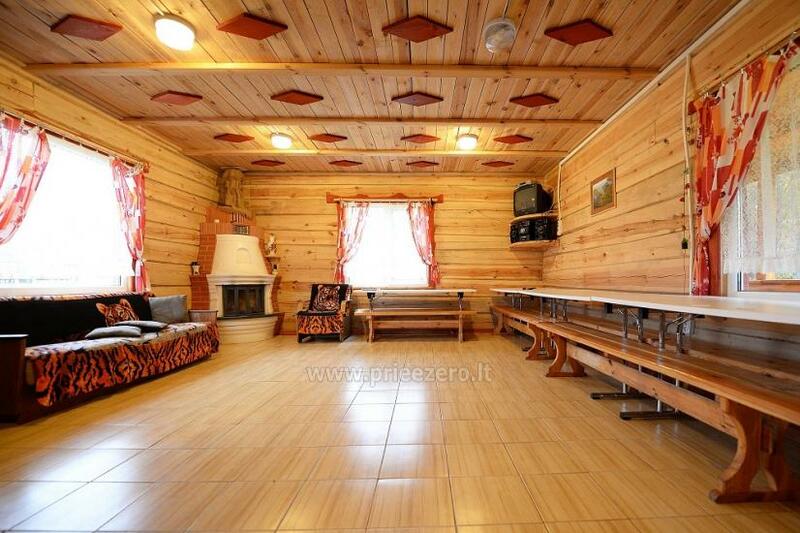 First floor: living room with kitchenette, fireplace, TV, music player, WC, shower. 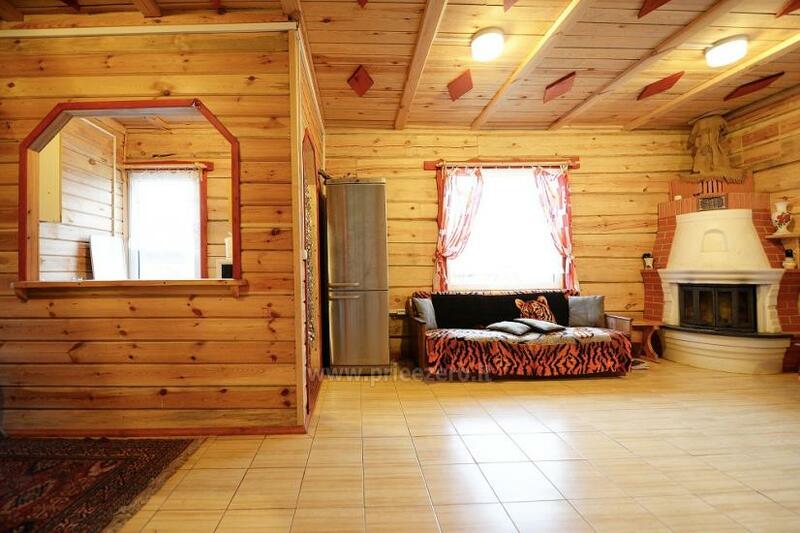 Second floor: 2 rooms. 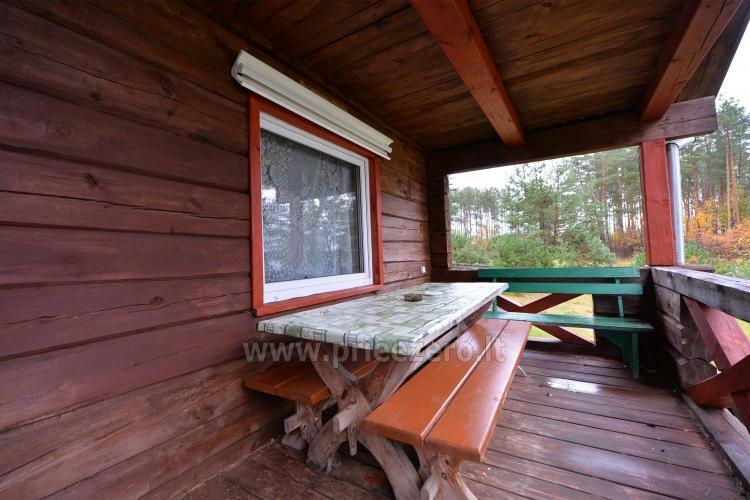 Up to 17 persons can stay in the holiday cottage. 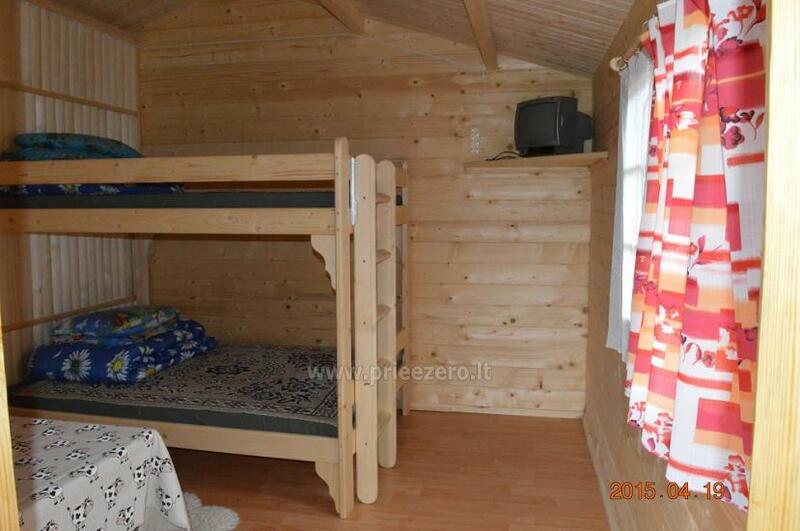 Summerhouse, children's playground at the holiday cottage. 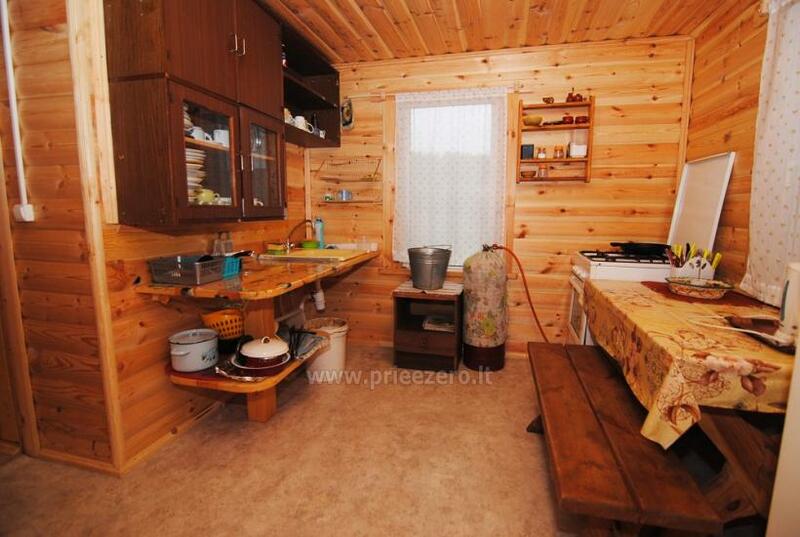 The guests are supplied with a grill, firewood. 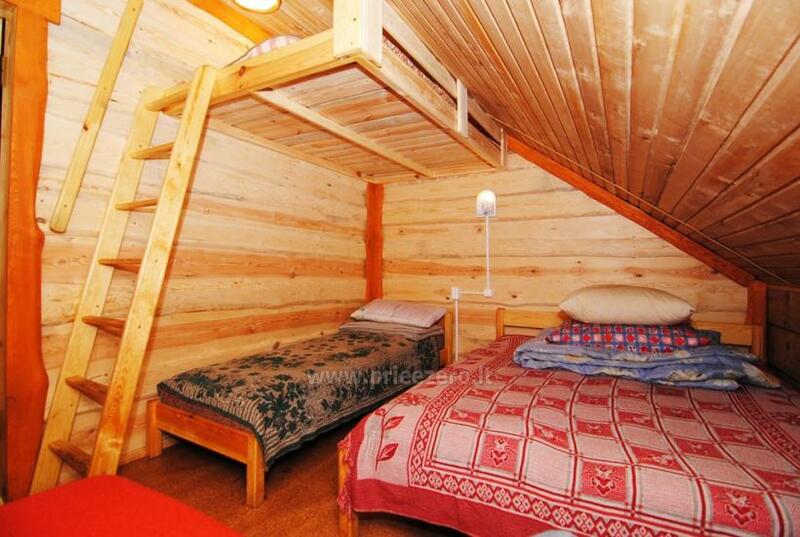 Weekend - EUR 150 / night. 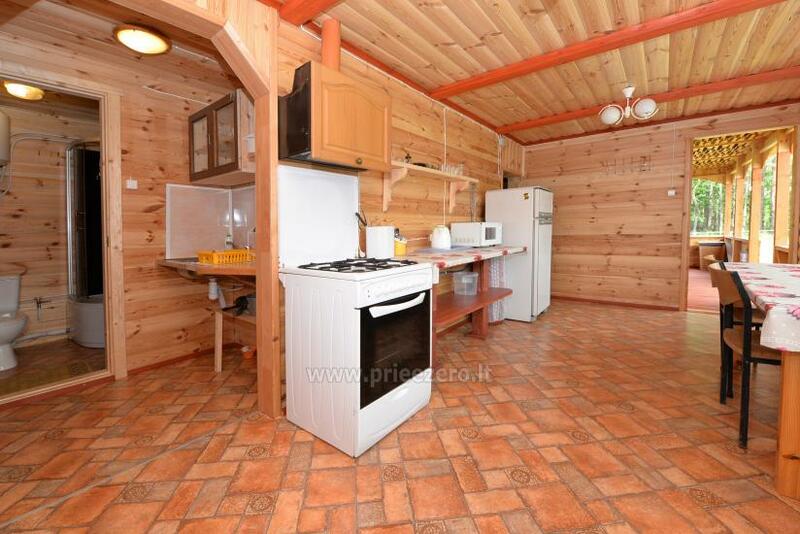 First floor: wide hall with a fireplace, kitchen, WC, shower. 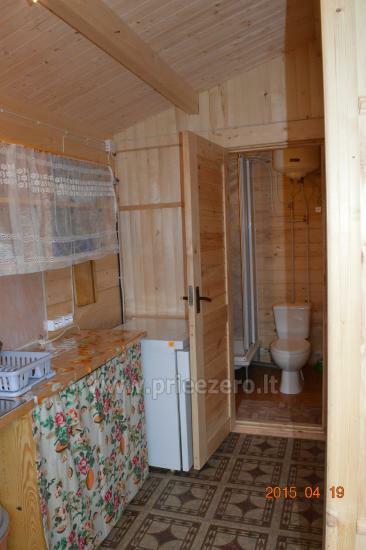 Second floor: 2 bedrooms. 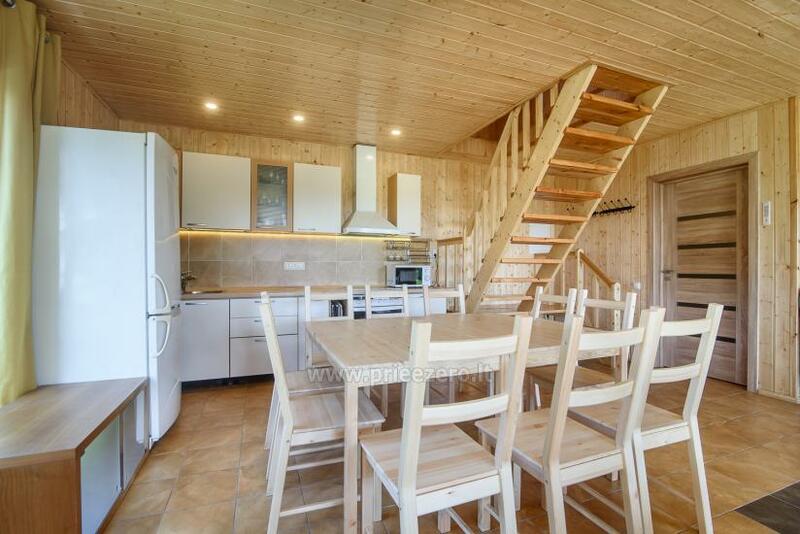 Up to 17 persons can stay in the holiday cottage. 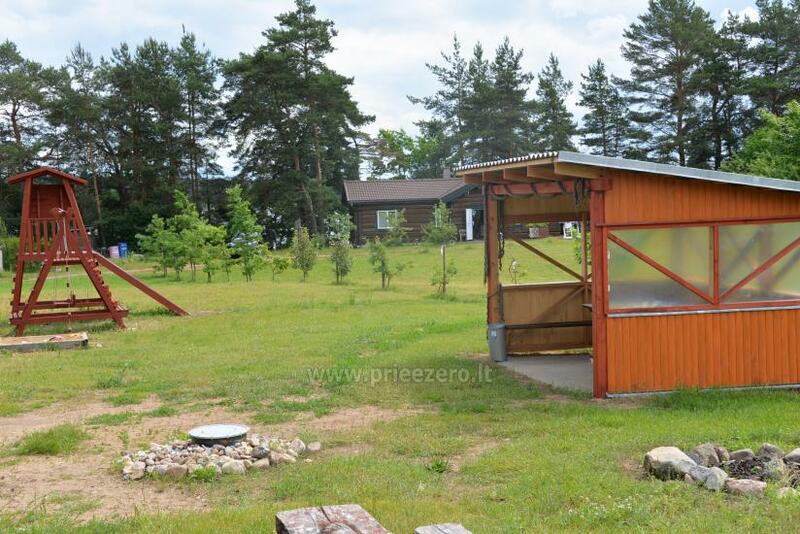 There is a summerhouse, children's playground at the holiday cottage. 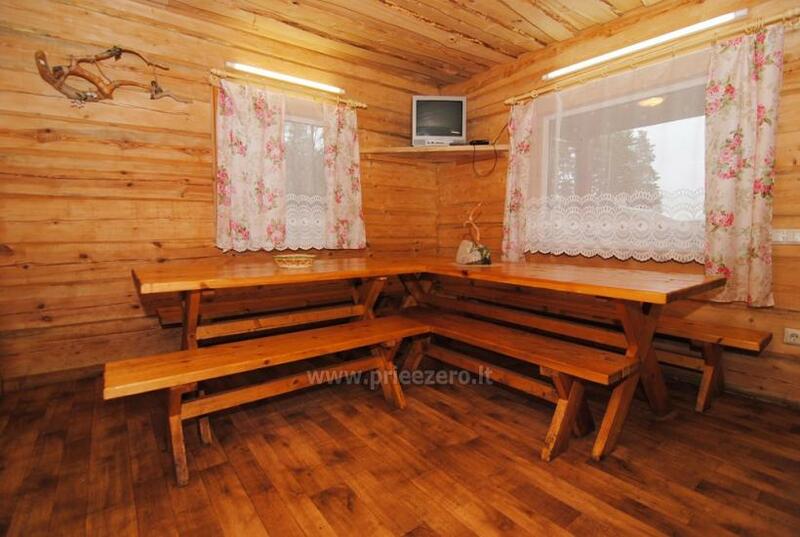 The guests are supplied with a grill, firewood. 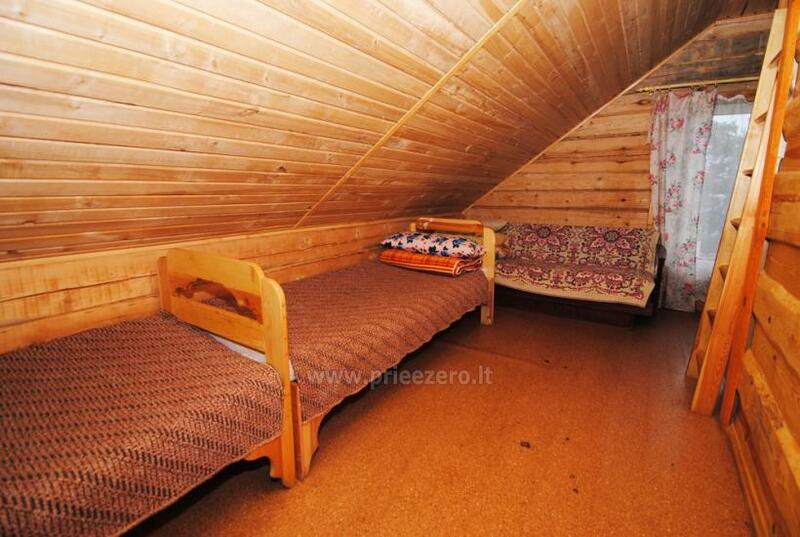 Weekend - 200 EUR / night. 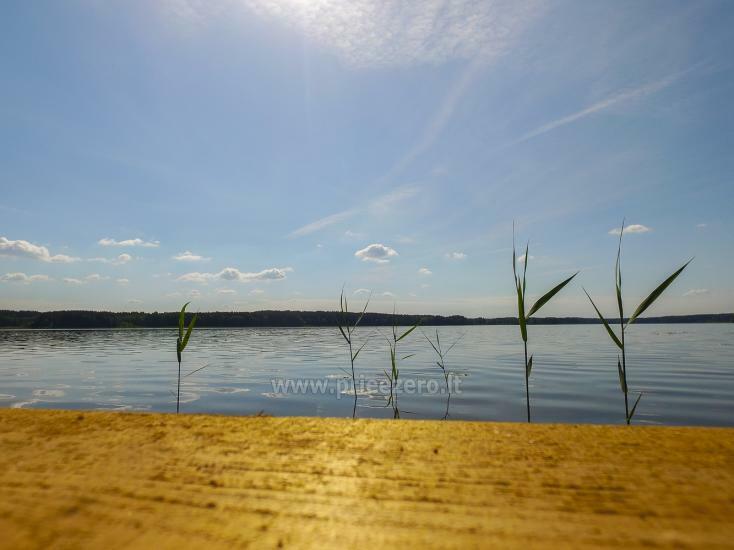 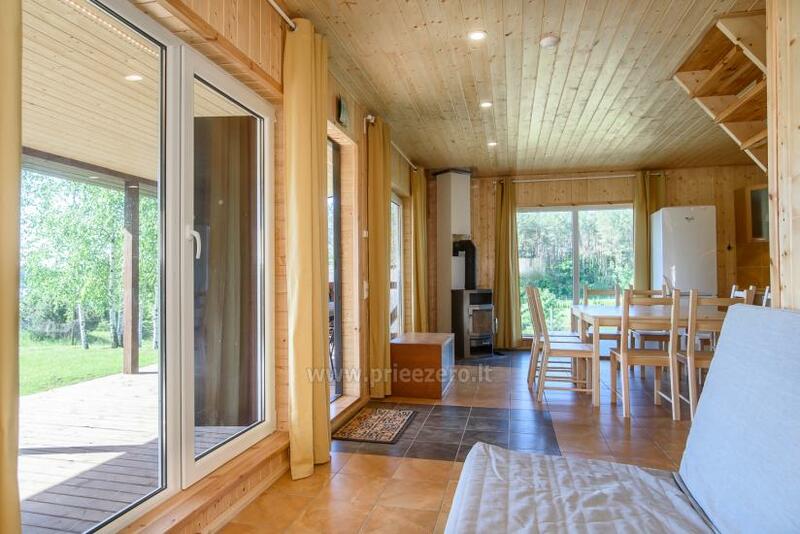 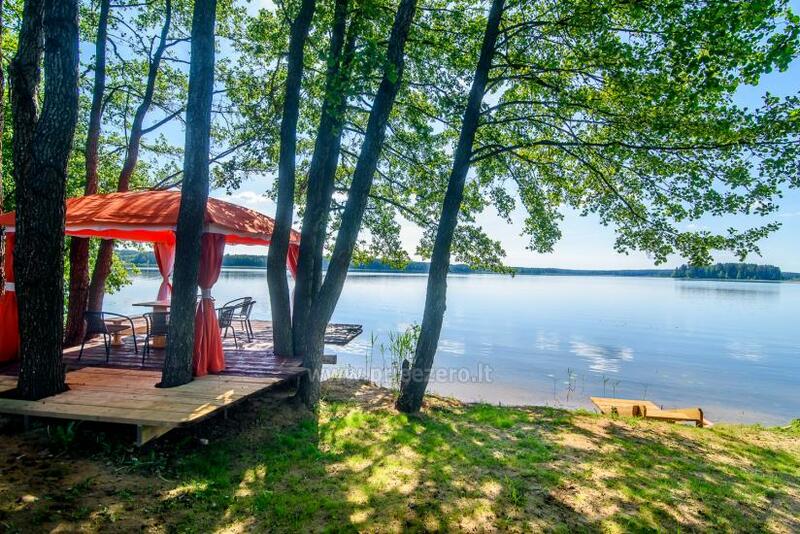 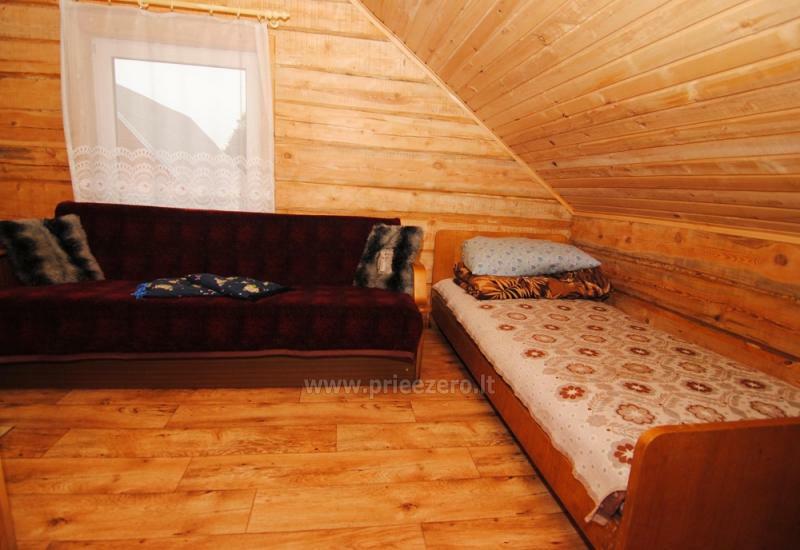 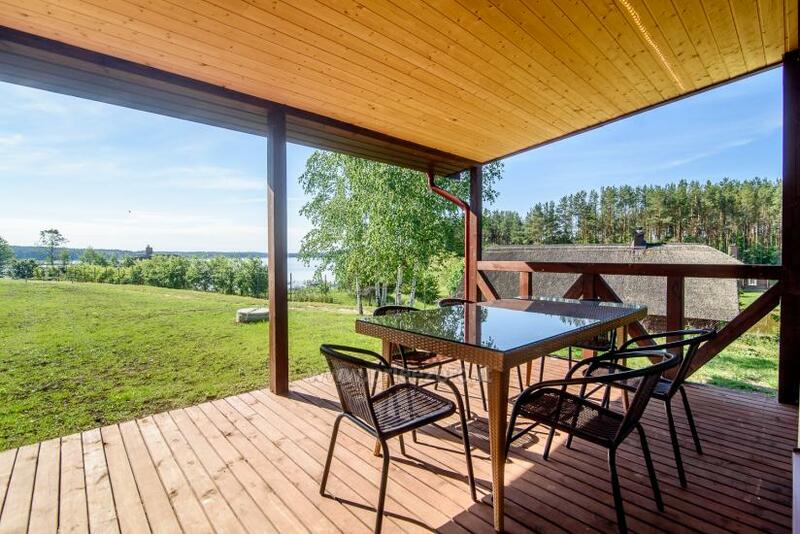 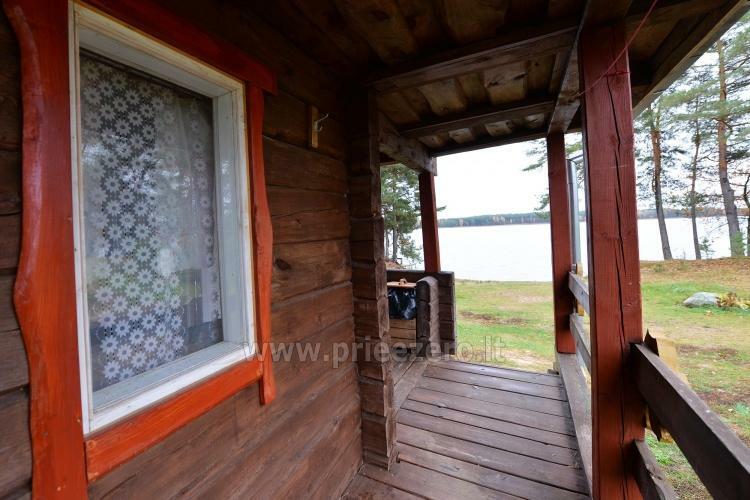 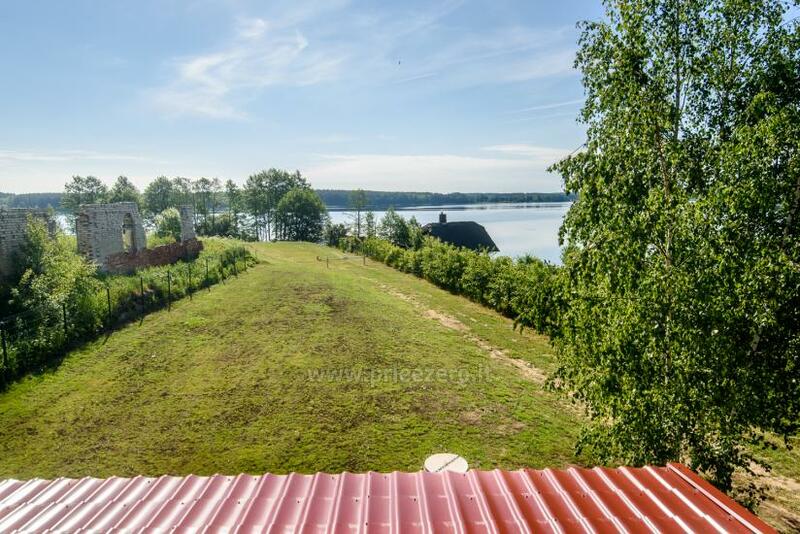 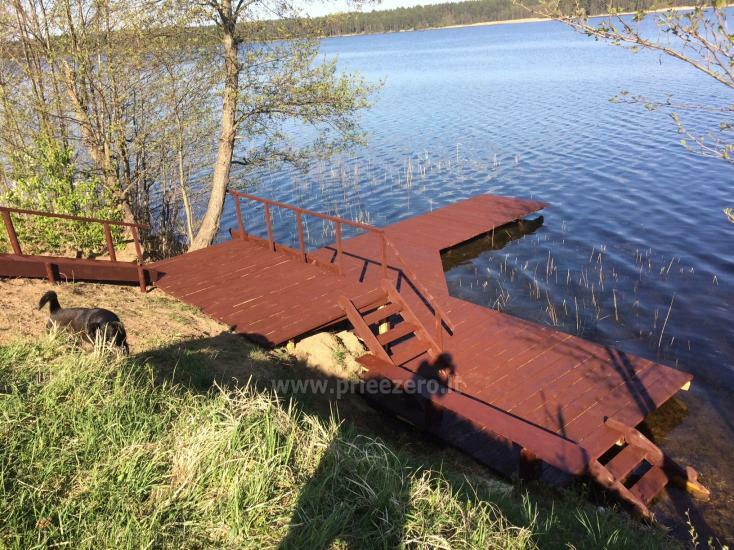 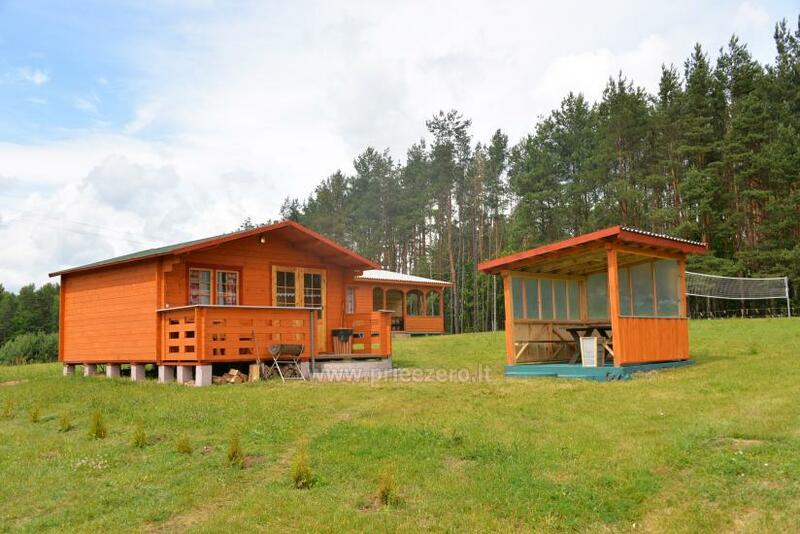 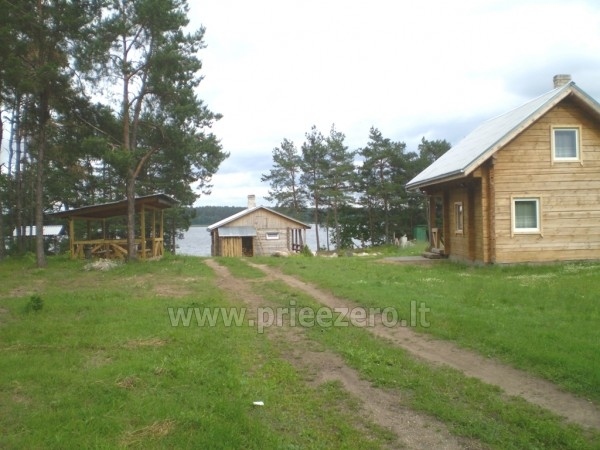 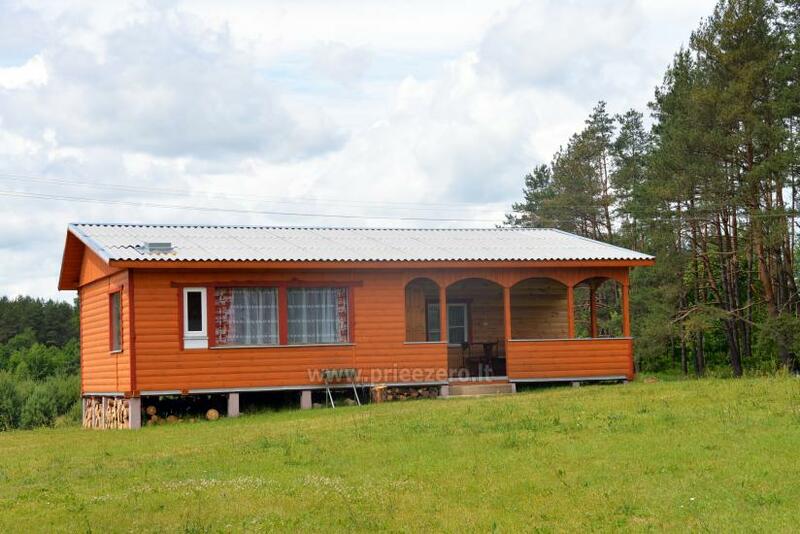 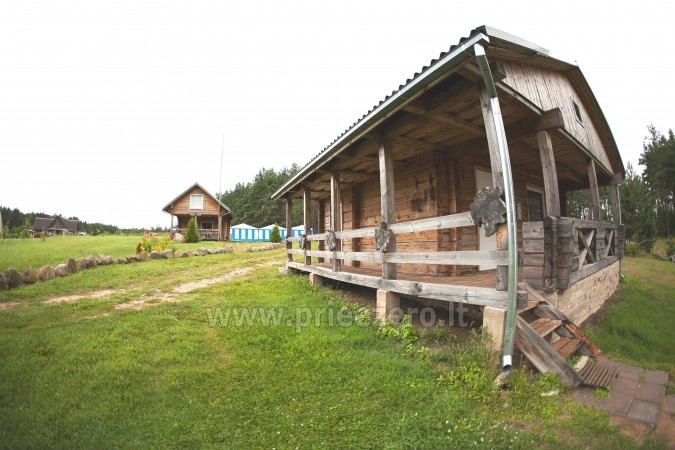 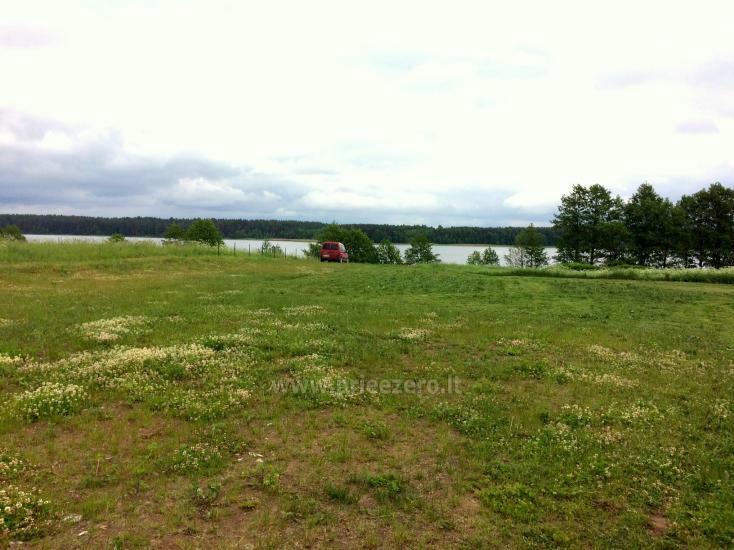 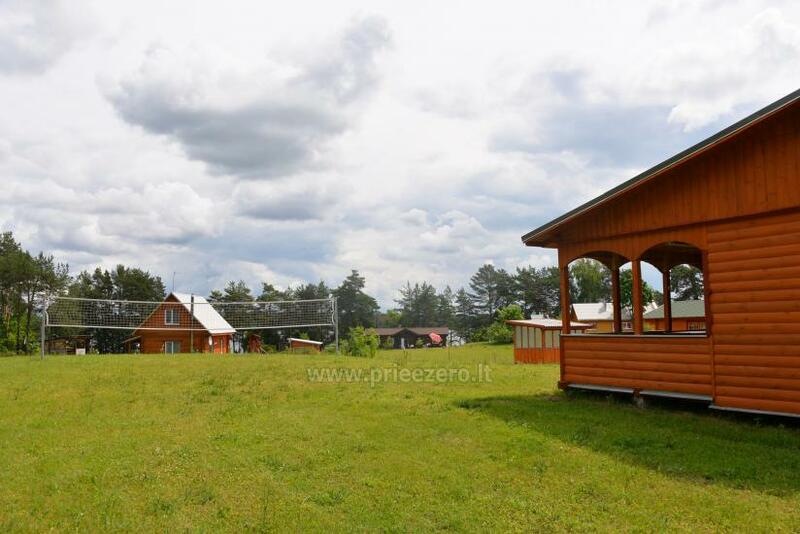 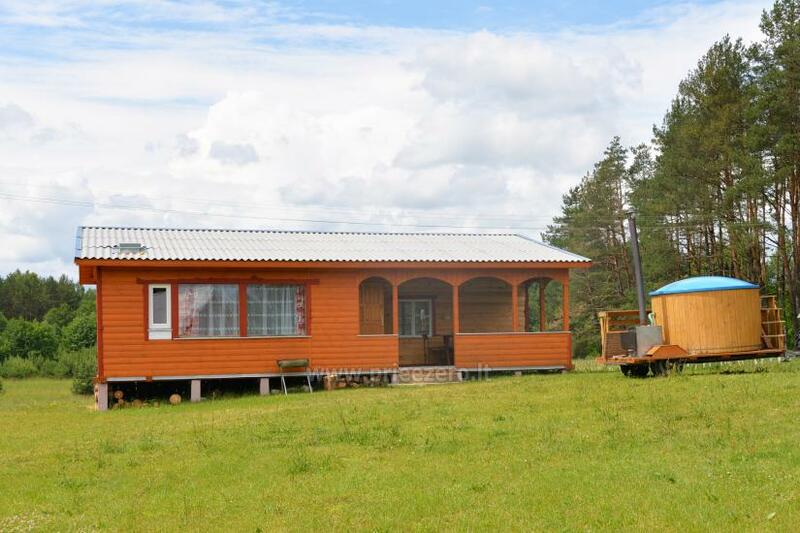 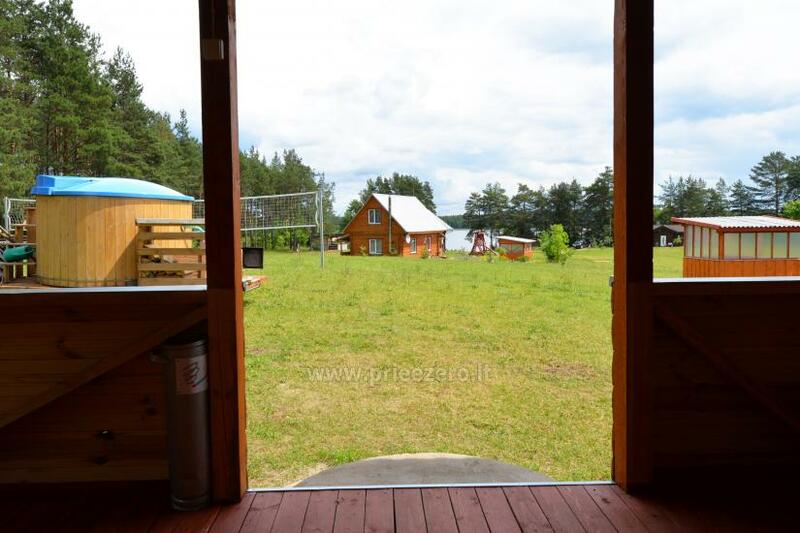 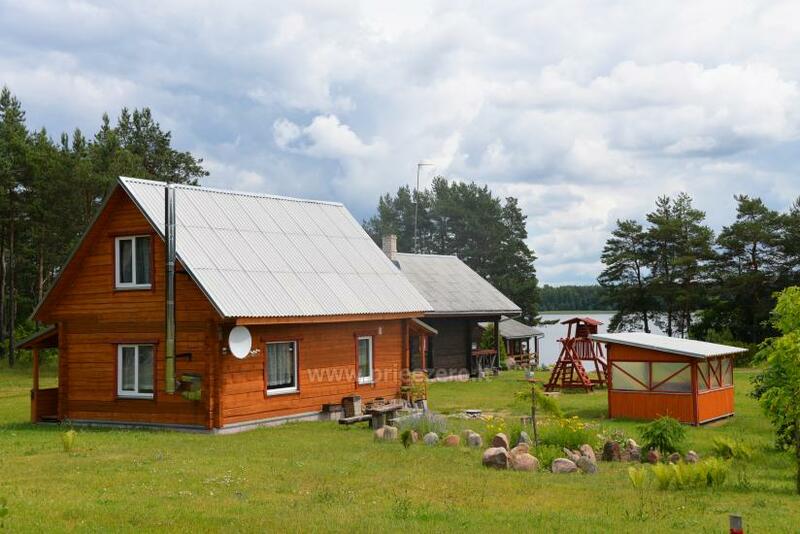 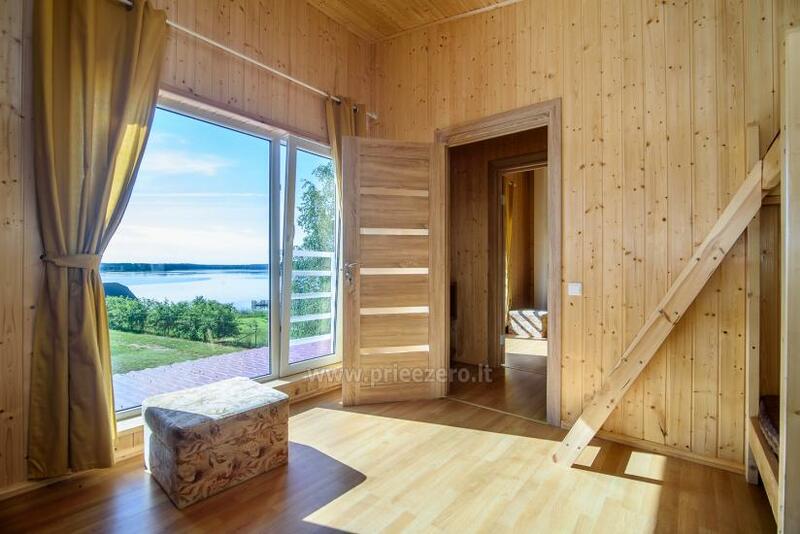 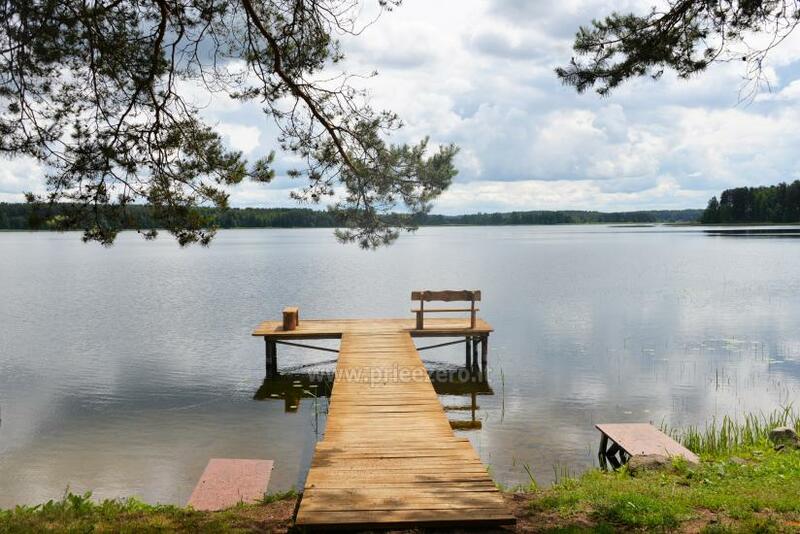 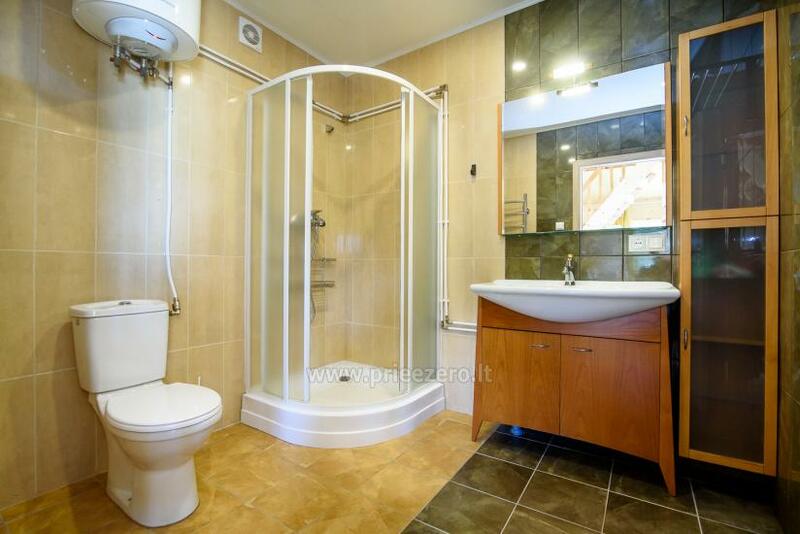 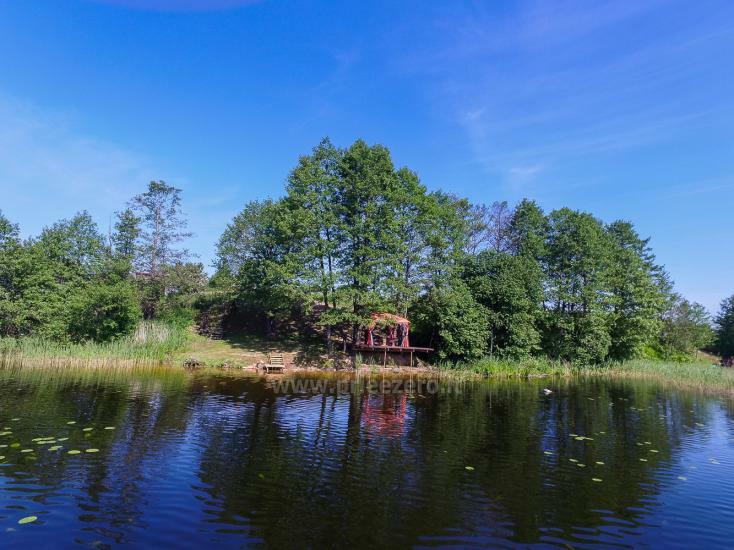 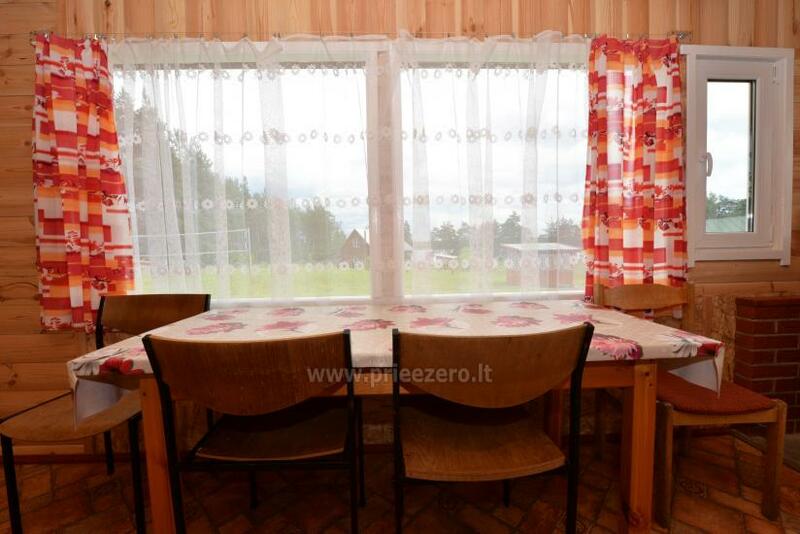 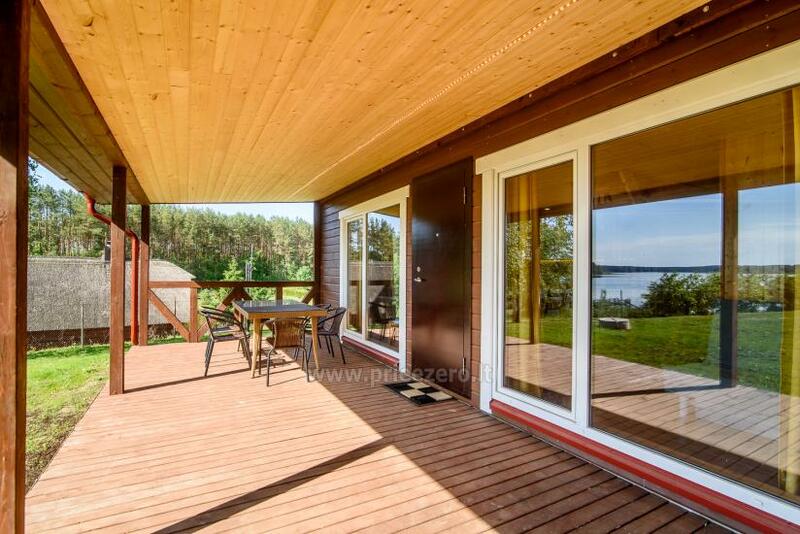 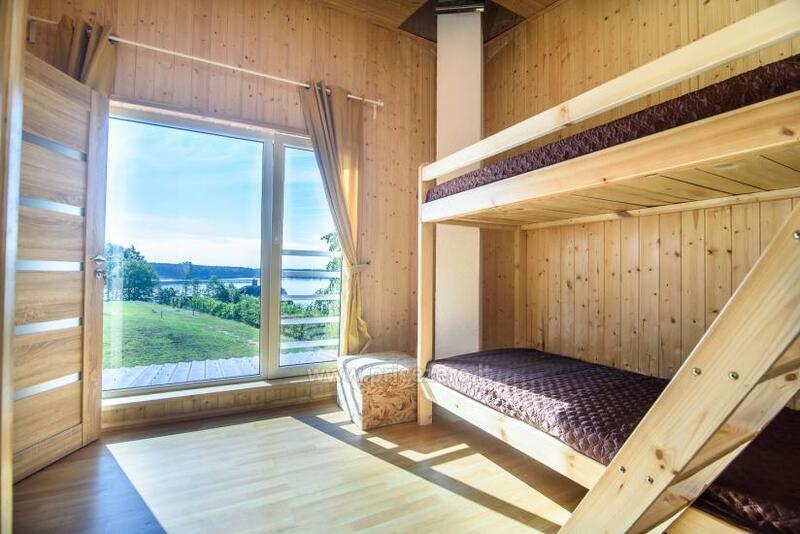 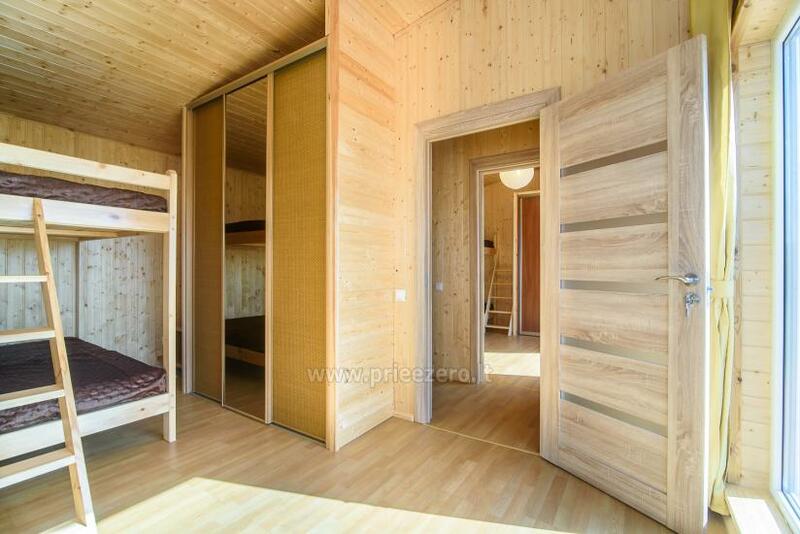 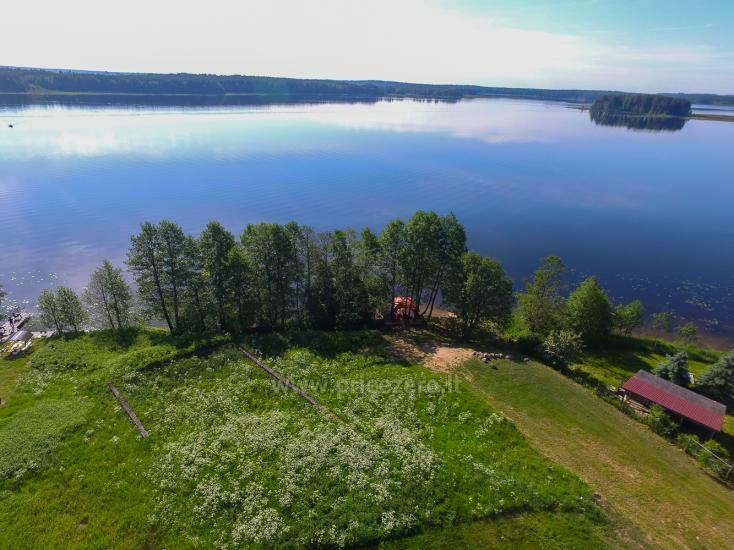 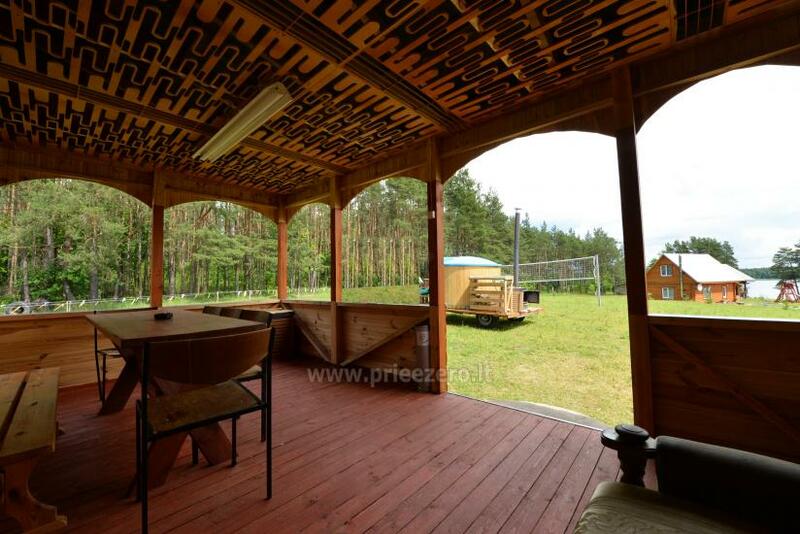 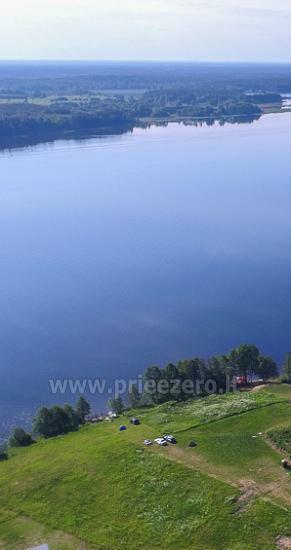 Two-storey house on the lakeshore with amenities, sauna, terrace, summerhouse with a fireplace. 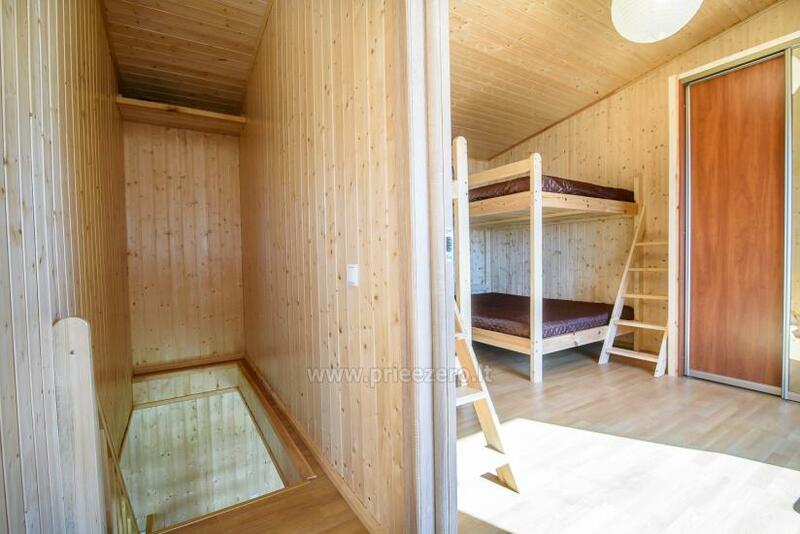 First floor: living room, fireplace, kitchen, TV, WC and shower. 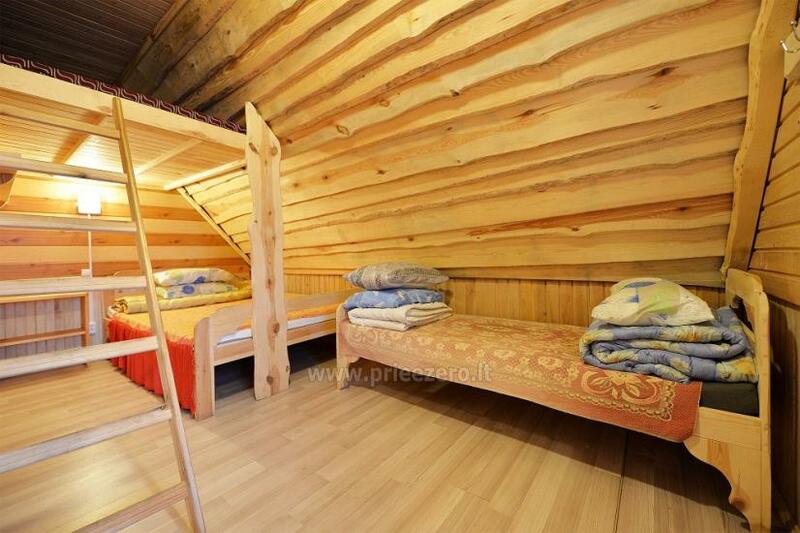 Up to 12 persons can stay in the house. 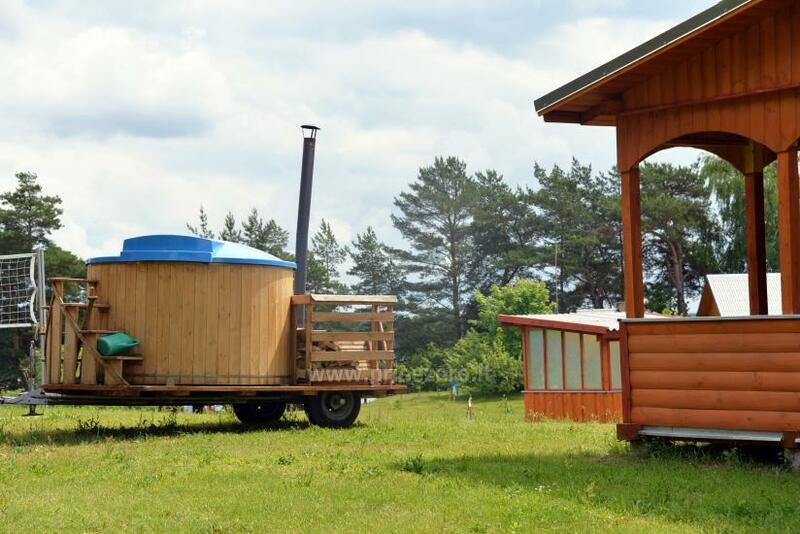 The guests are supplied with grill, firewood. 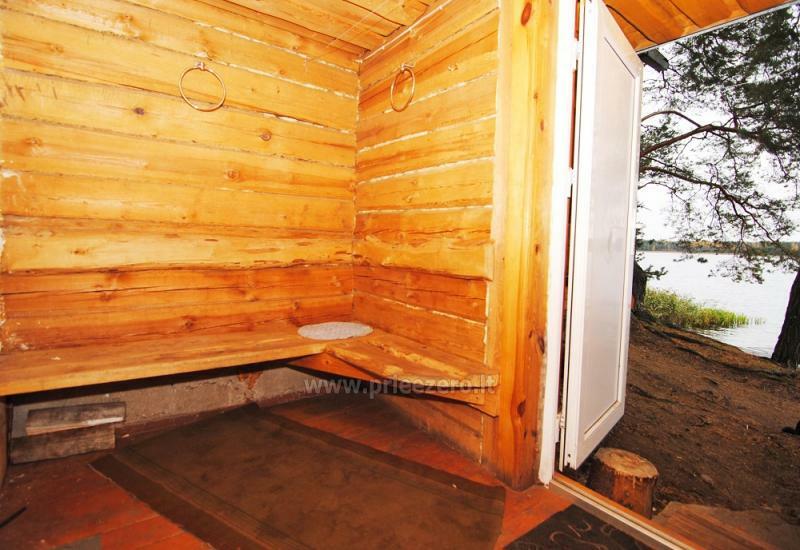 Sauna 10 EUR / 1 hour. 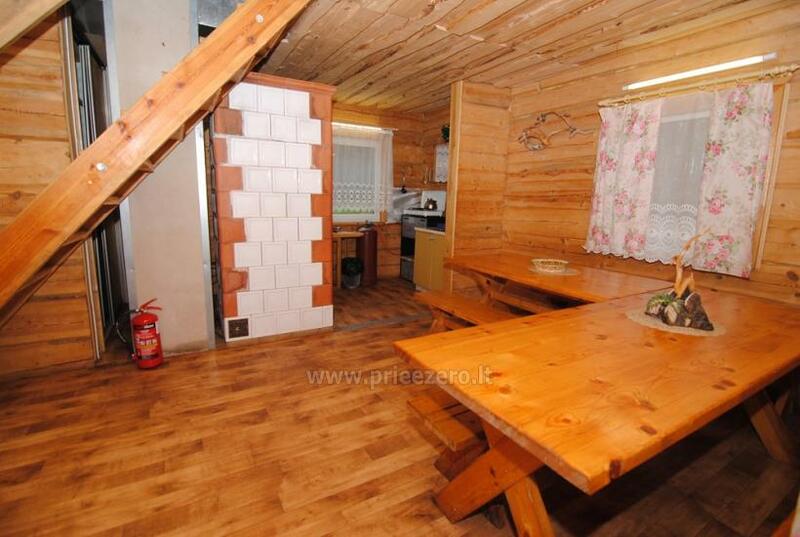 One-room quadruple holiday cottage near the lake. 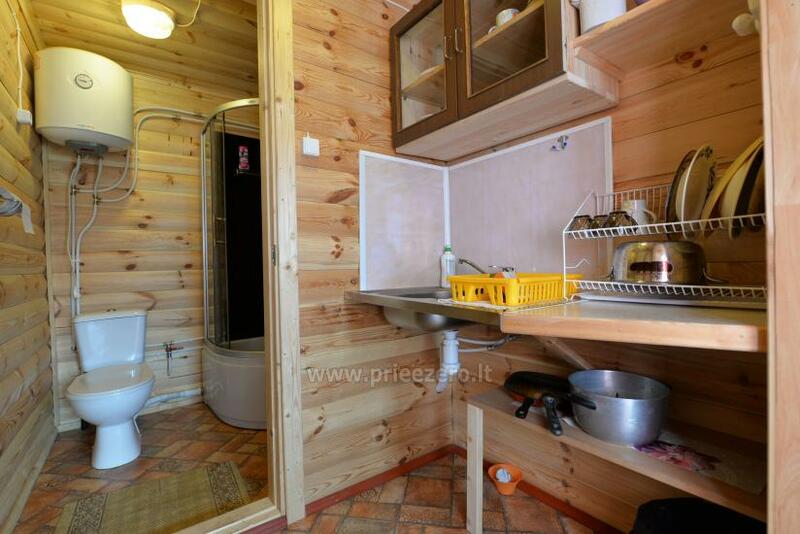 Kitchen, shower, WC, TV, refrigerator, stove, dishes. 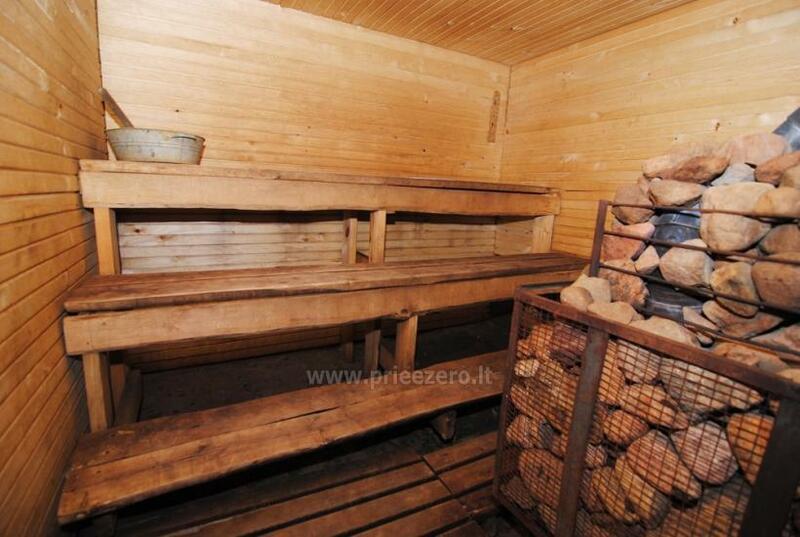 The guests are supplied with a grill, firewood. 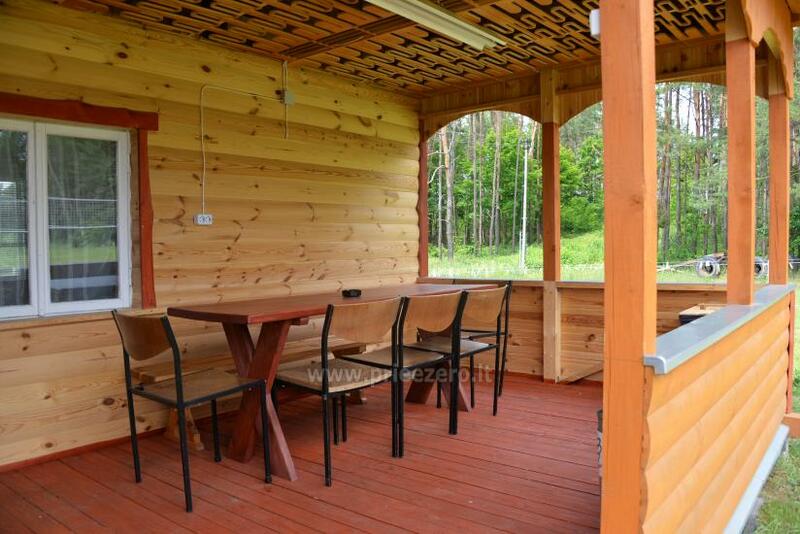 There is a summerhouse at the holiday cottage. 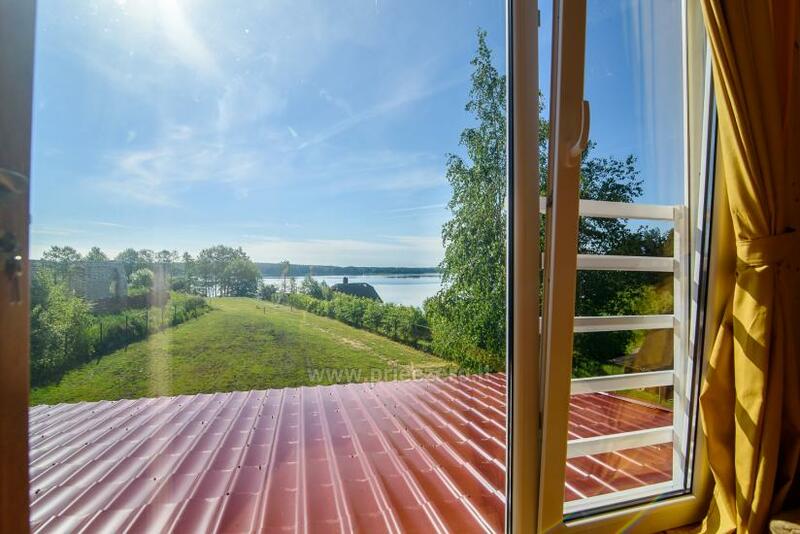 Weekdays - 50 EUR / night. 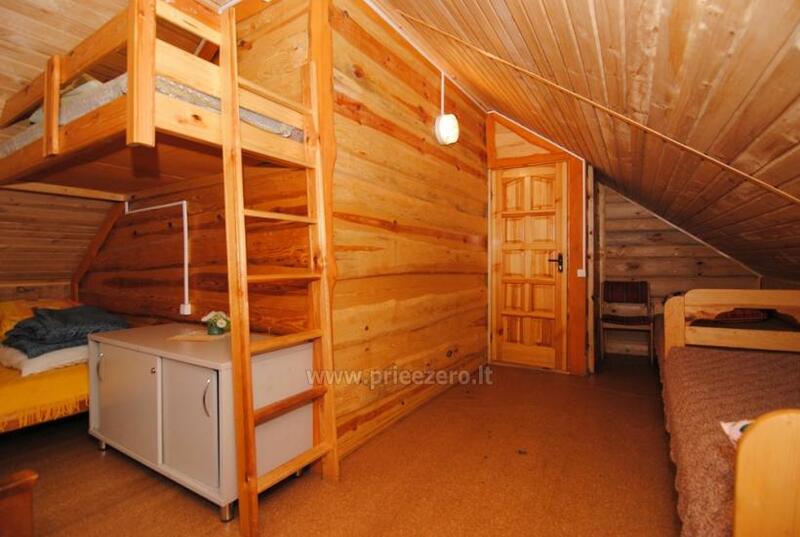 Weekend - 60 EUR / night. 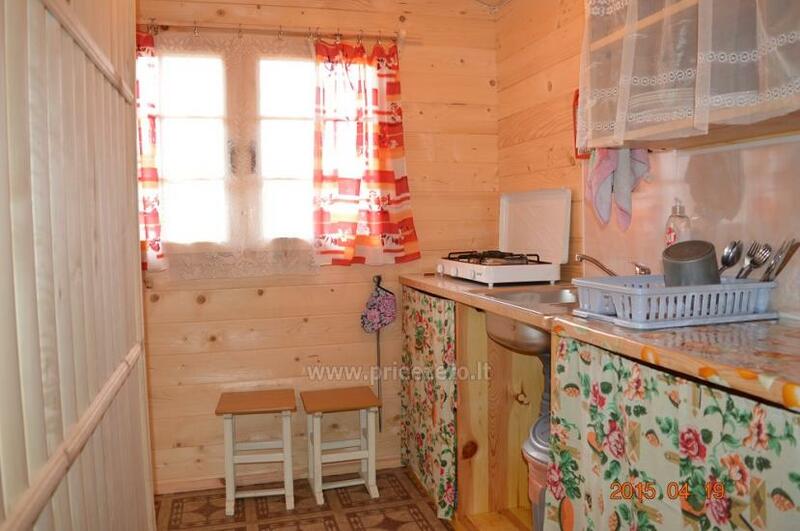 A holiday cottage with amenities near the lake. 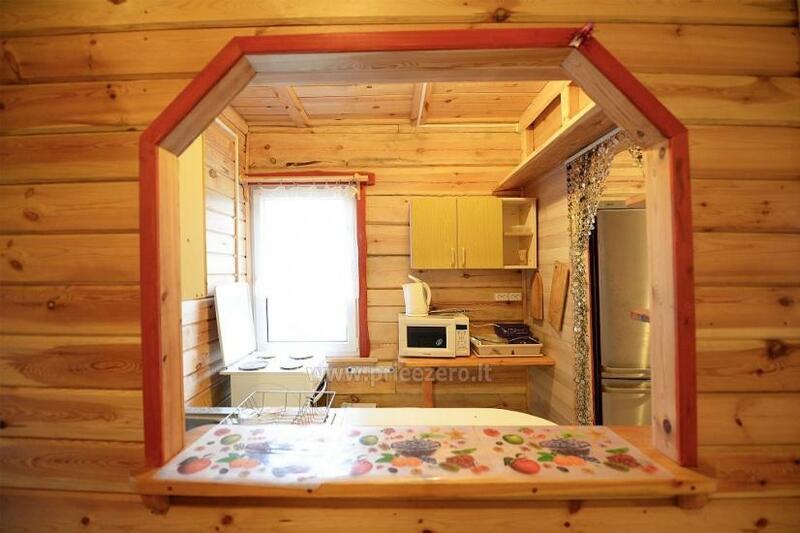 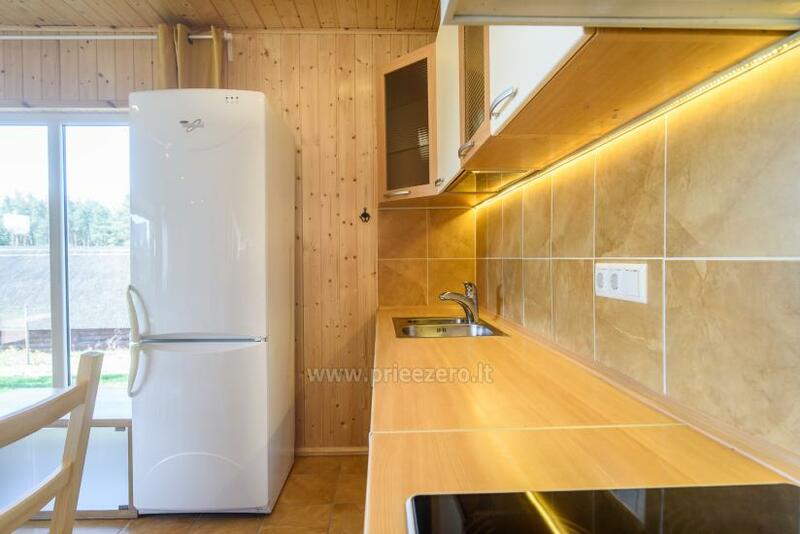 It has 4 rooms (for up to 9 persons), a private kitchen, refrigerator, stove, dishes, shower, toilet, TV, a cozy fireplace and an outdoor terrace. 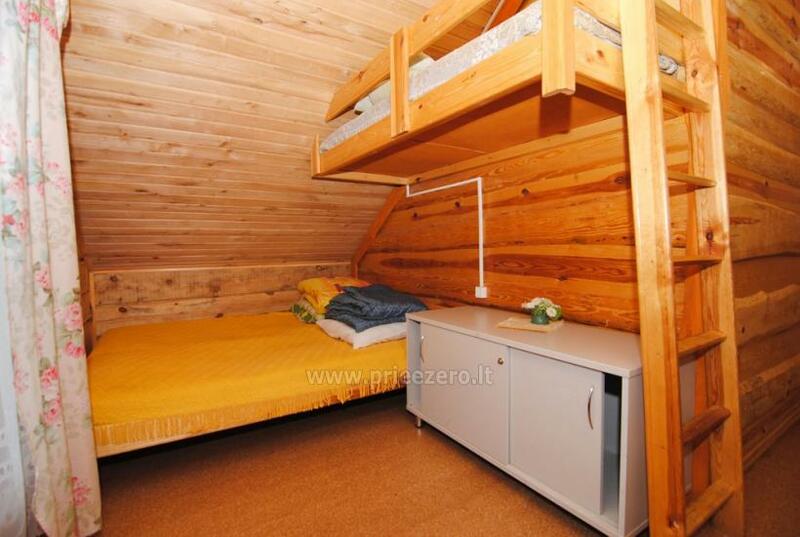 Weekend - 100 EUR / night. 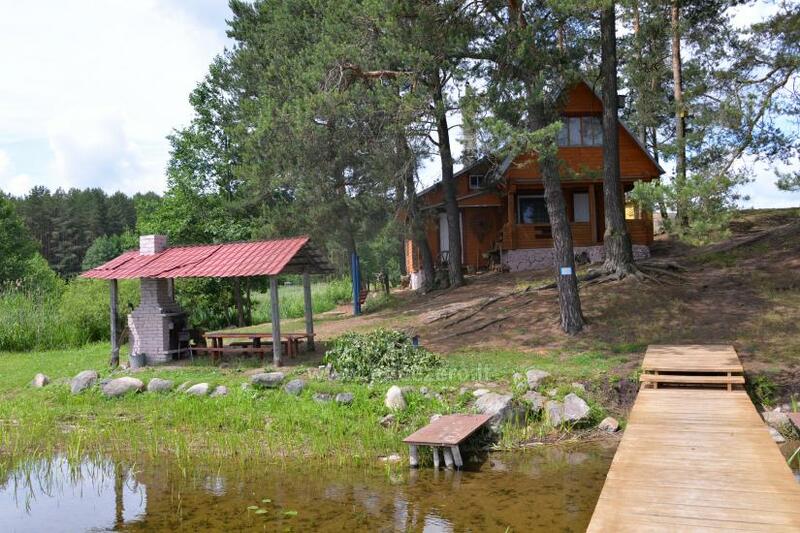 A new two-storey holiday cottage on the shore of the lake. 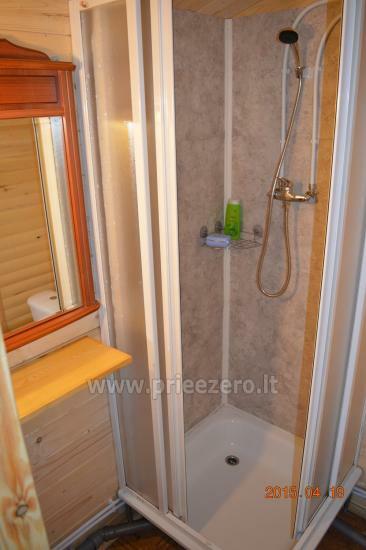 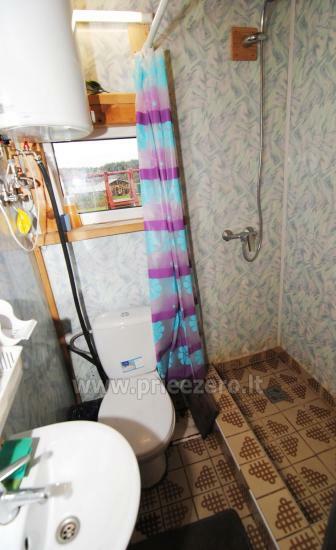 First floor: sauna, shower, toilet, kitchen. 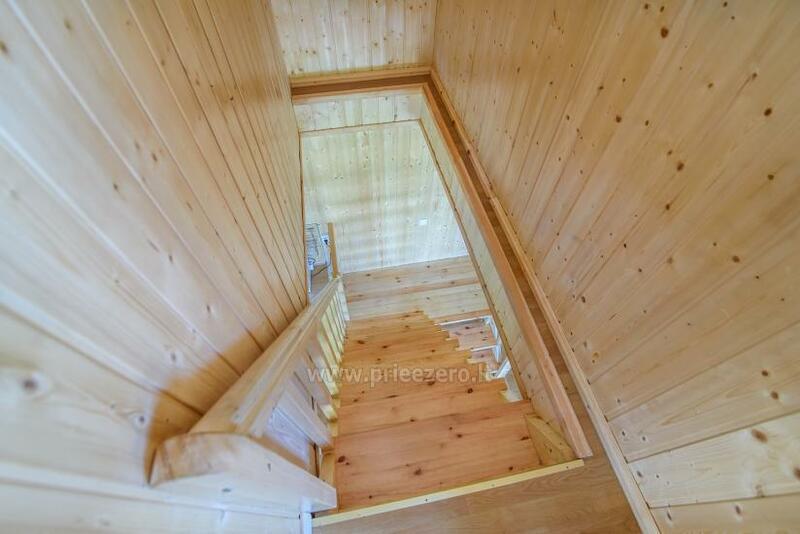 The entrance to the second floor from the outside, and it has two bedrooms (forup to 10 persons). 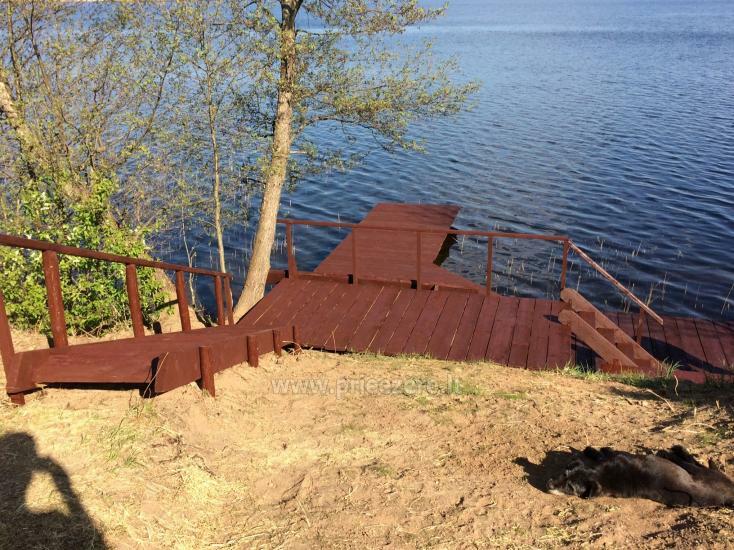 The holiday cottage has a private coastline and a footbridge. 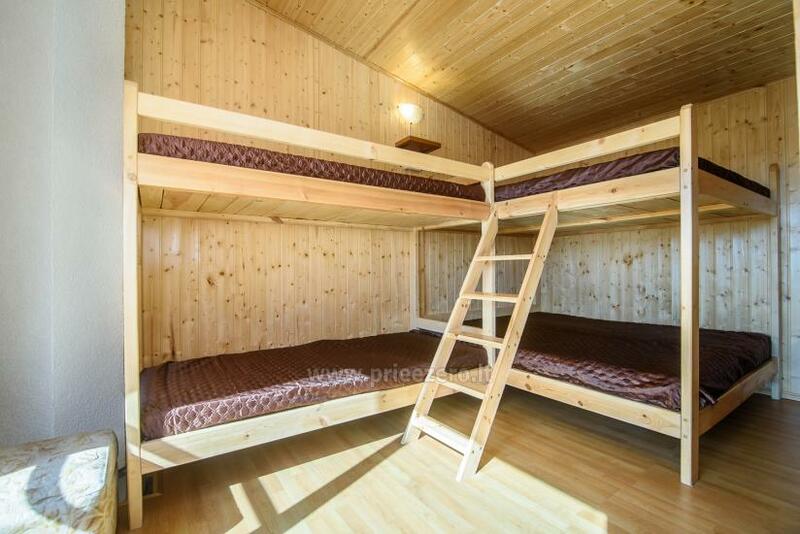 A holiday cottage for a perfect stay for a family or two families. 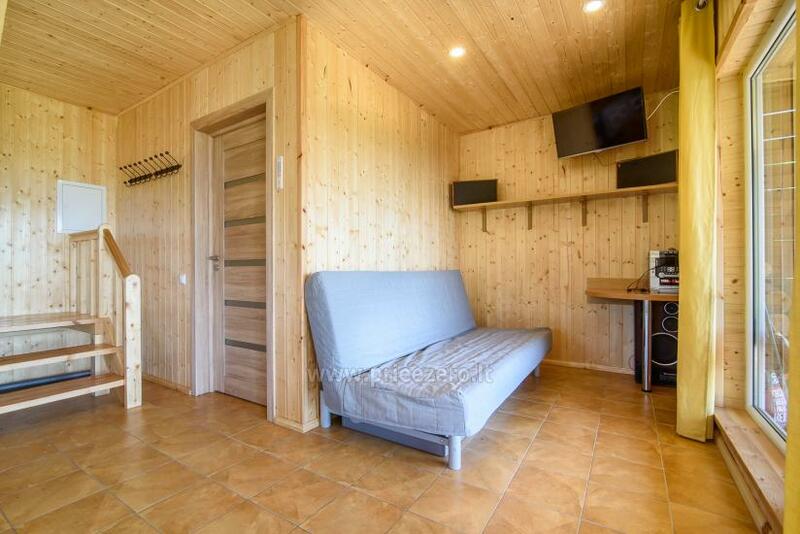 First floor: living room with a kitchen and all the necessary household appliances, fireplace, TV, music center, LED TV, bathrooms with heated floors and shower, WC, free wireless internet (Wi-Fi). 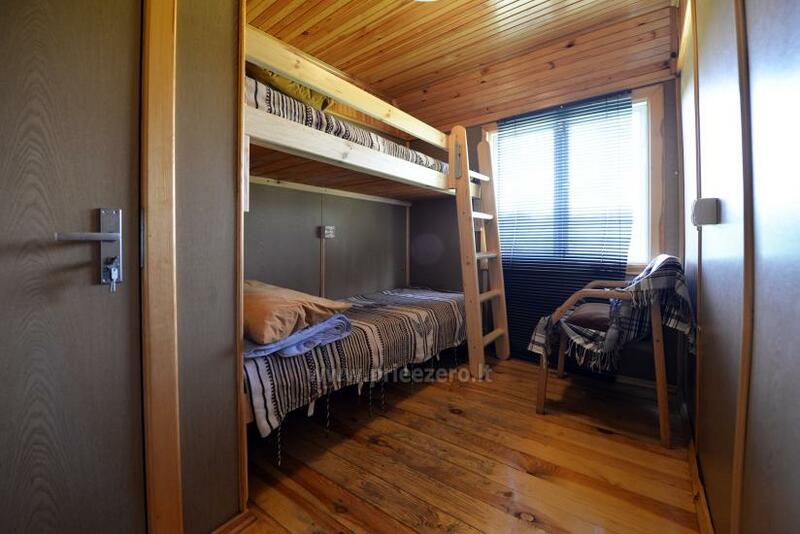 Second floor: of two rooms for 6 persons each. 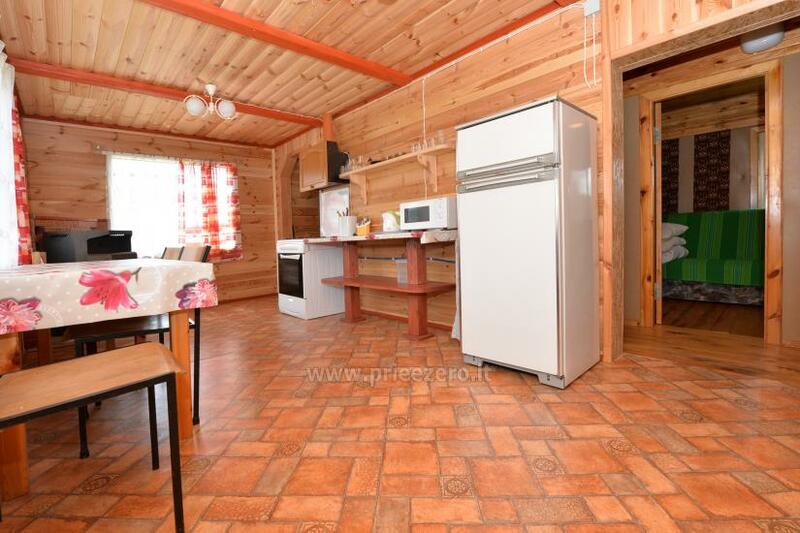 Up to 14 persons can stay in the holiday cottage. 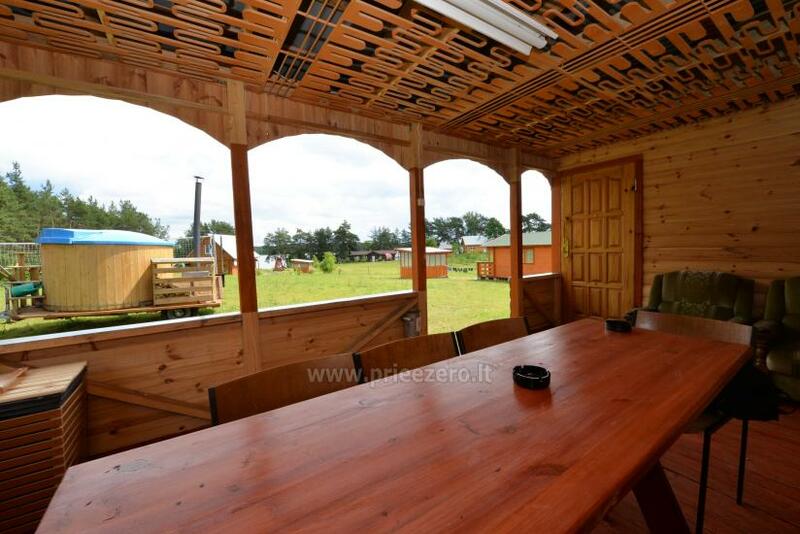 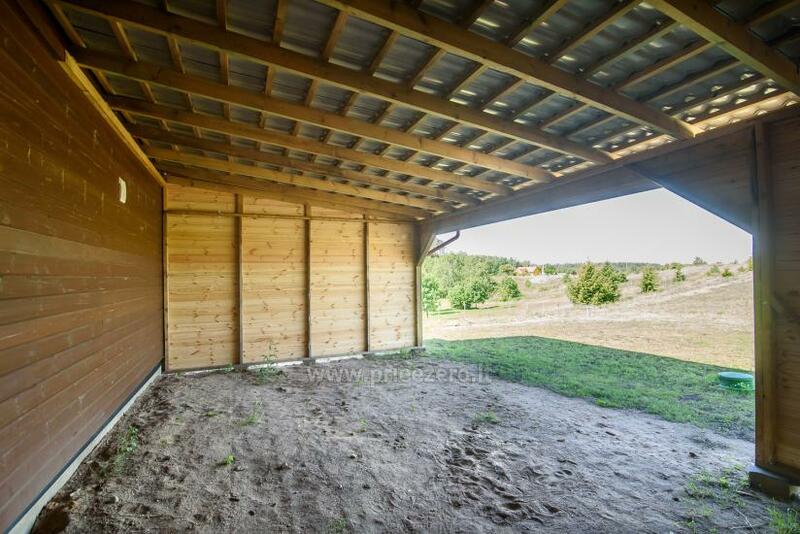 Equipped with an outdoor terrace, a shelter for two cars. 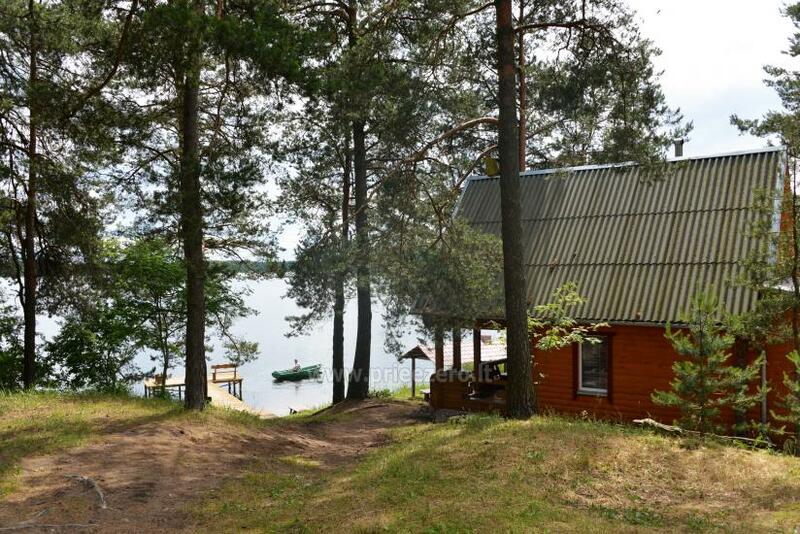 The holiday cottage has a private coastline of the lake. 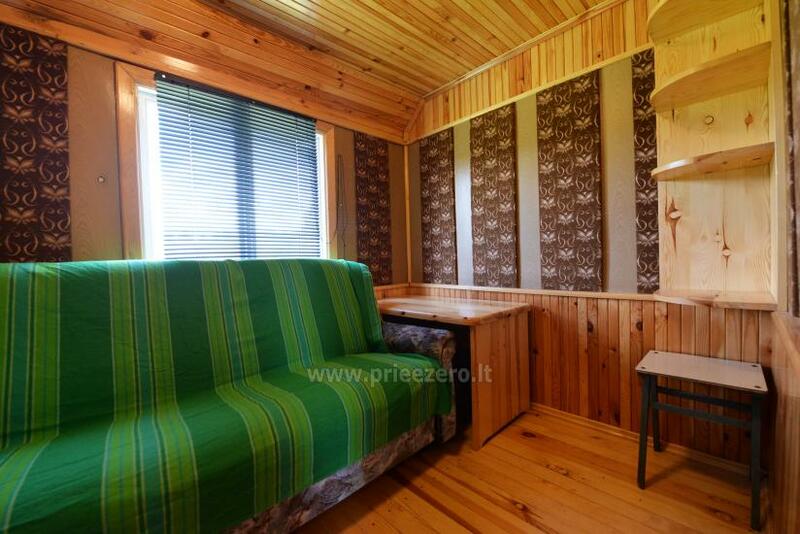 Linen available for an extra fee - 3 Еur per set. 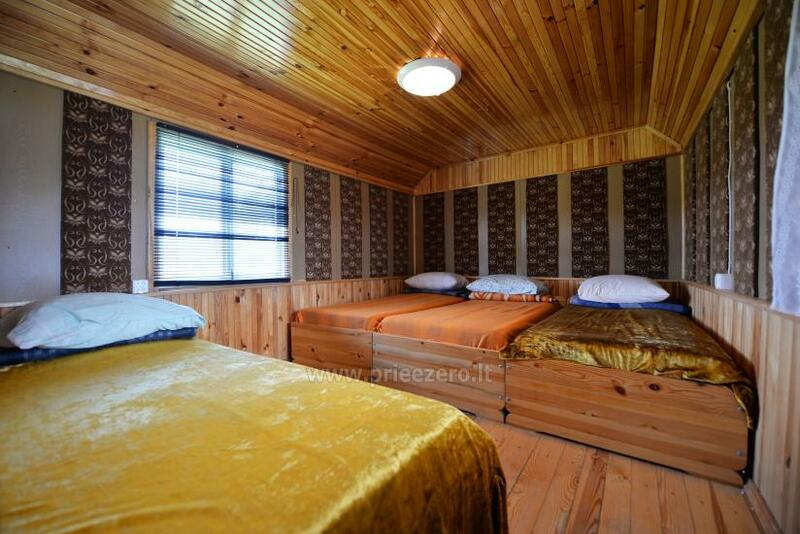 Check in - from 14 oçlock, check out - till 12 oçlock. 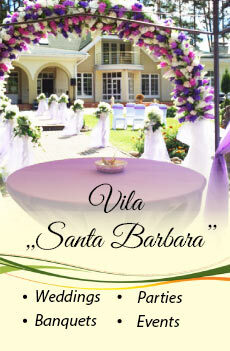 Discounts are applied for couples and stays for more than 1 night. 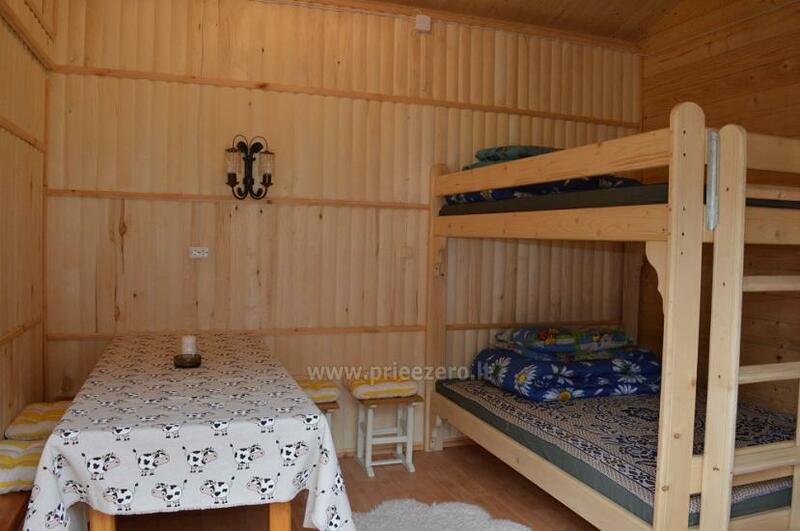 100 Eur deposit required on arrival, depozit is returned on departure day. 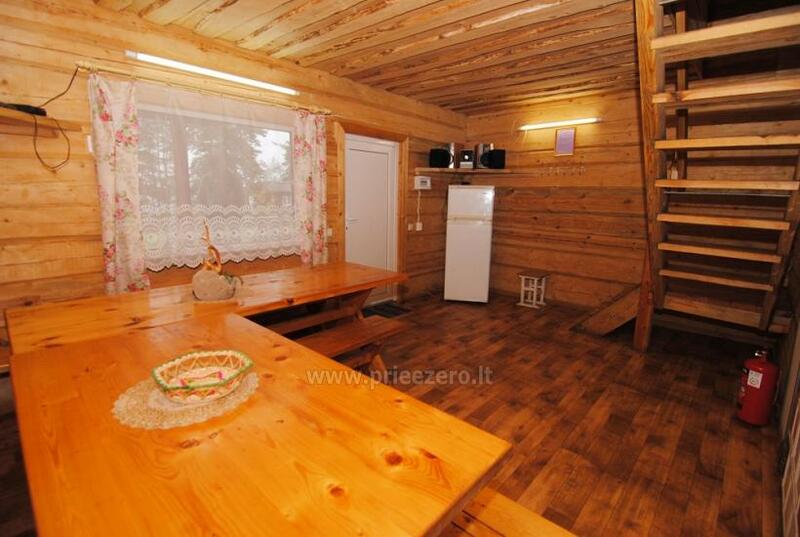 8-12 guests - 120 EUR. 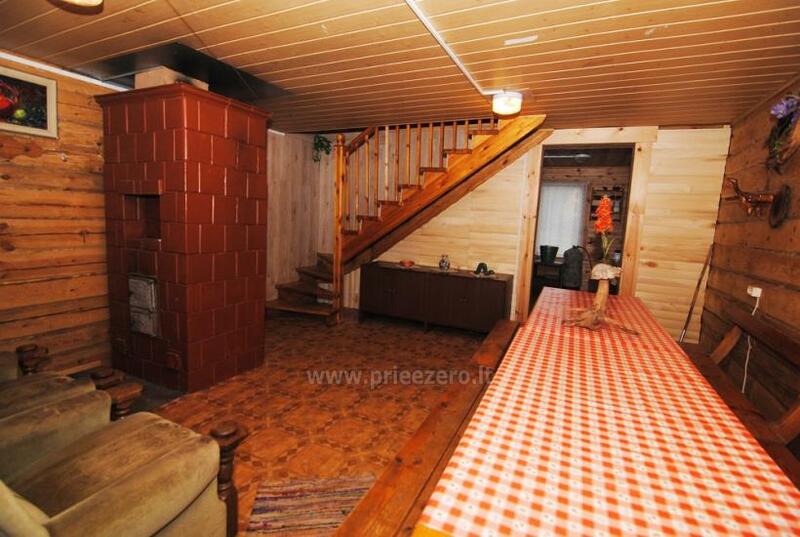 8-12 guests - 170 EUR. 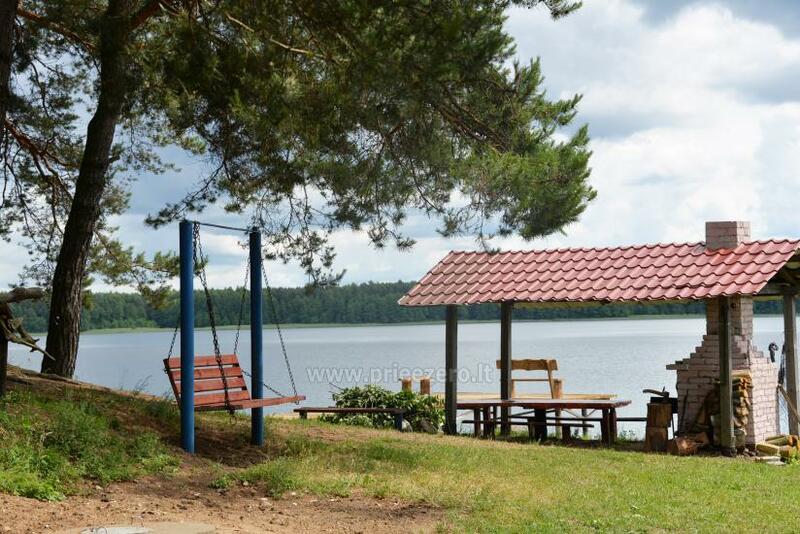 Camping site on the coast of the lake is ideal for camping with tents. 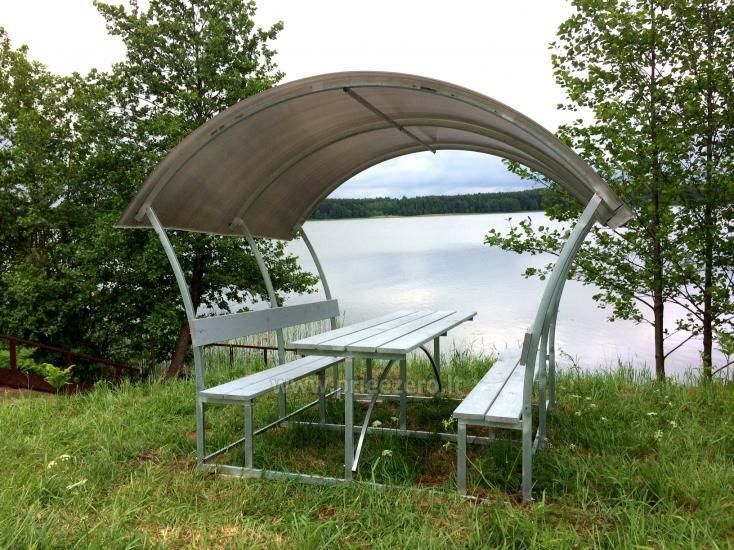 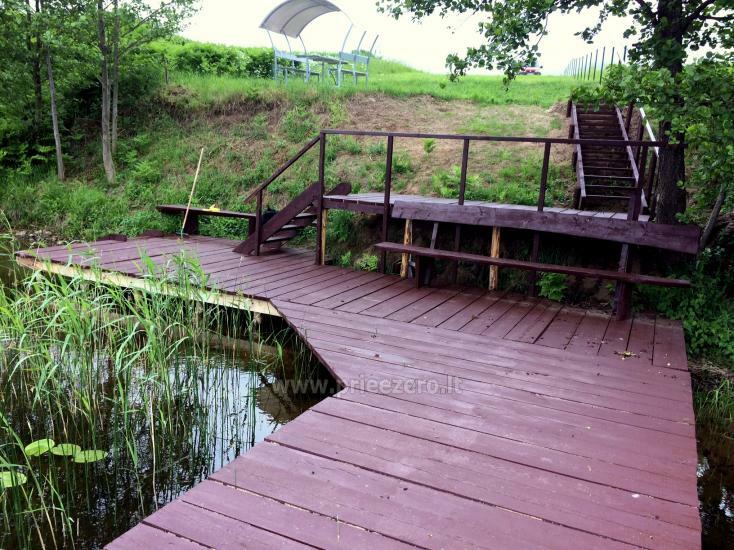 There are footbridge, benches, suitable for fishing and sunbathing. 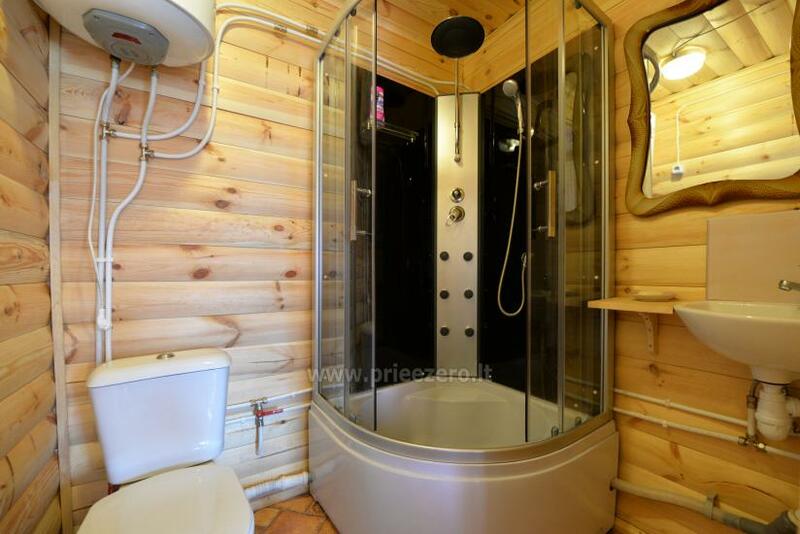 Also there are arbour and toilet. 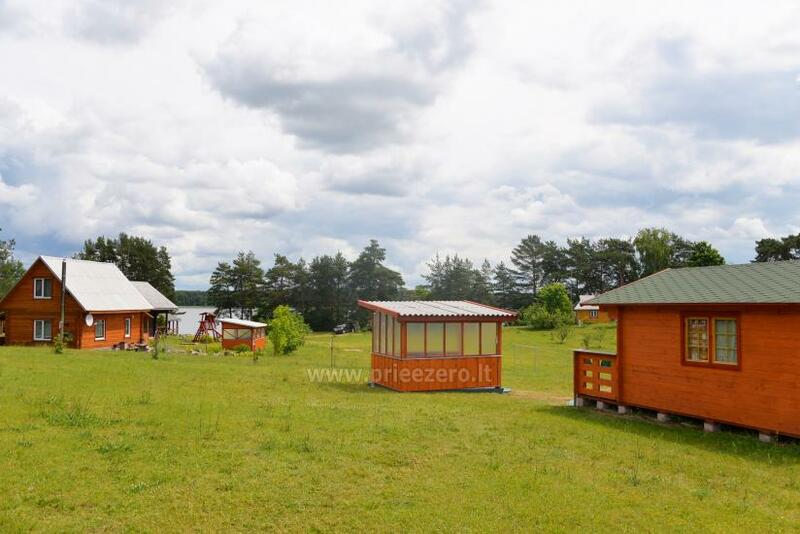 Campsite is in calm place surrounded by nature. 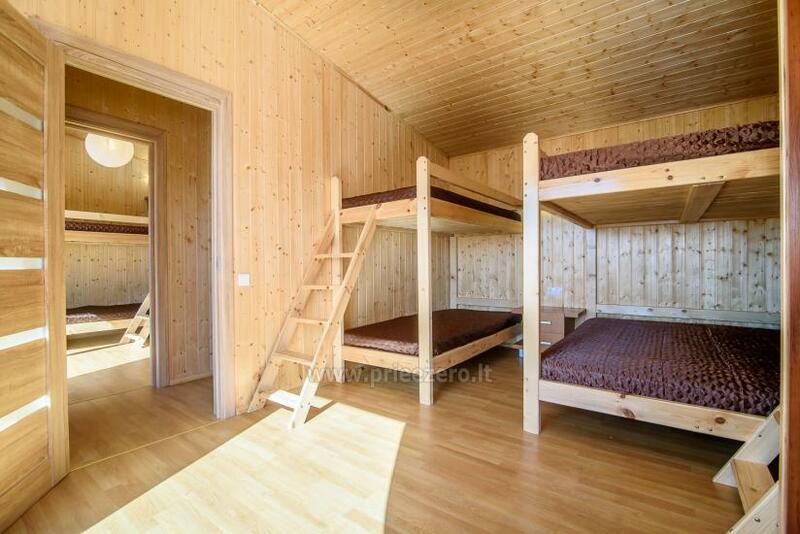 Monday - Thursday - 45 EUR. 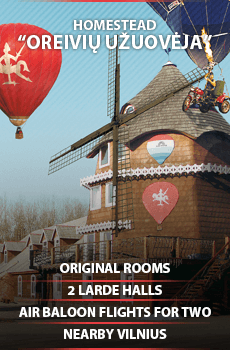 Friday - Saturday - Sunday - 60 EUR. 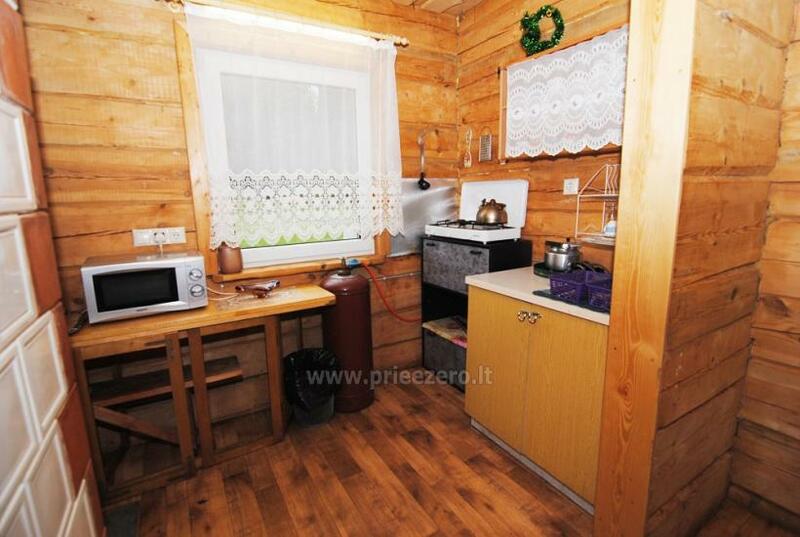 Herbal tea - from 2 to 10 EUR. 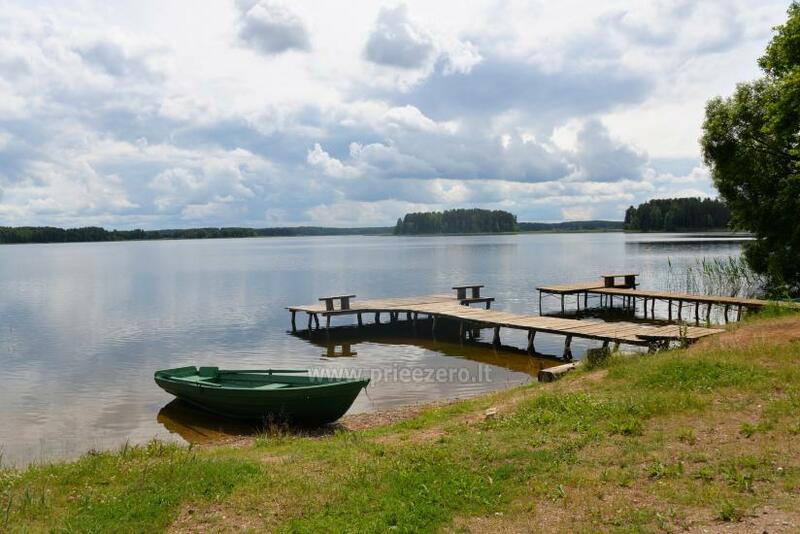 Boat rental - 6 EUR / day. 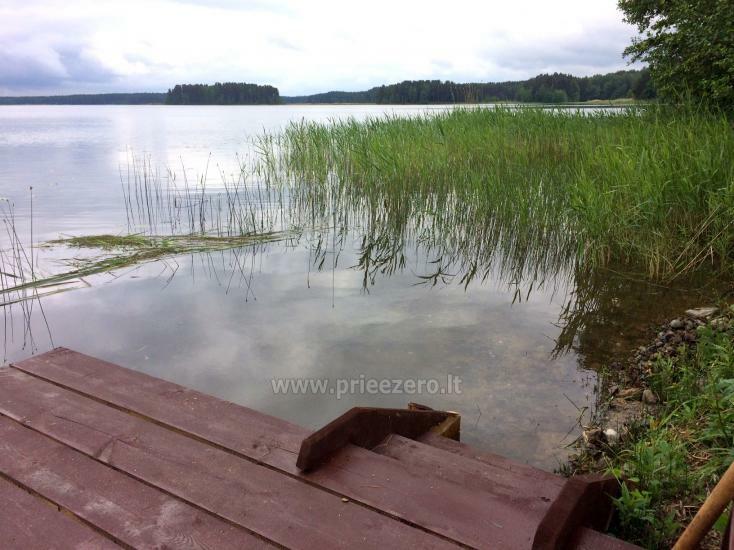 Water bicycle- 3 EUR /1 hour. 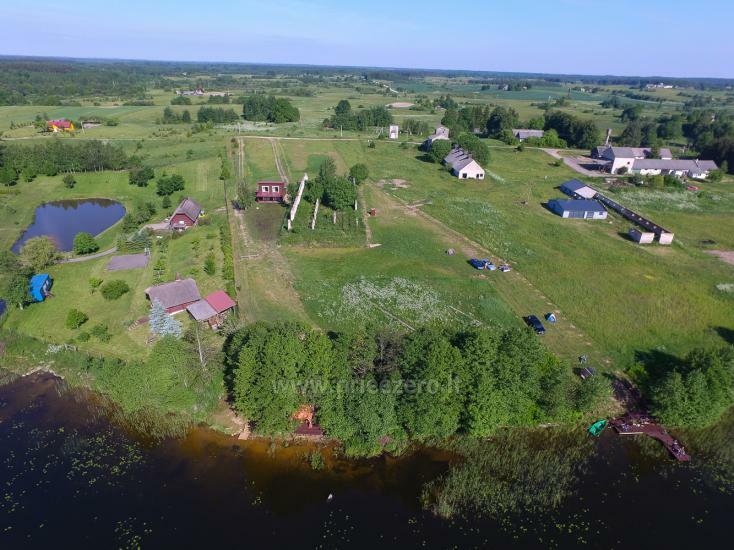 Earthworms for fishing - 1 EUR. 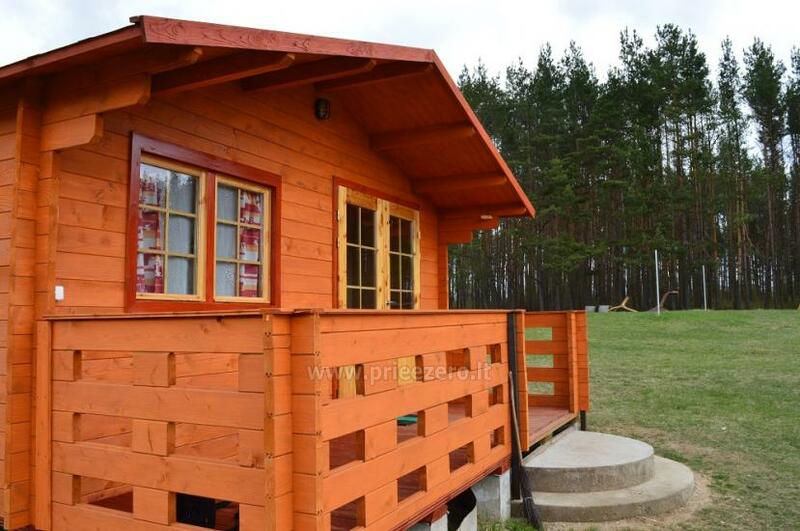 Rustic eggs 10 pcs. 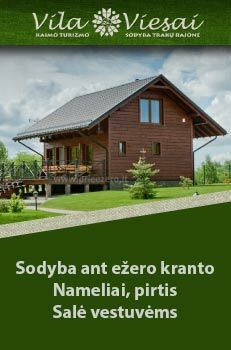 - 2 EUR.